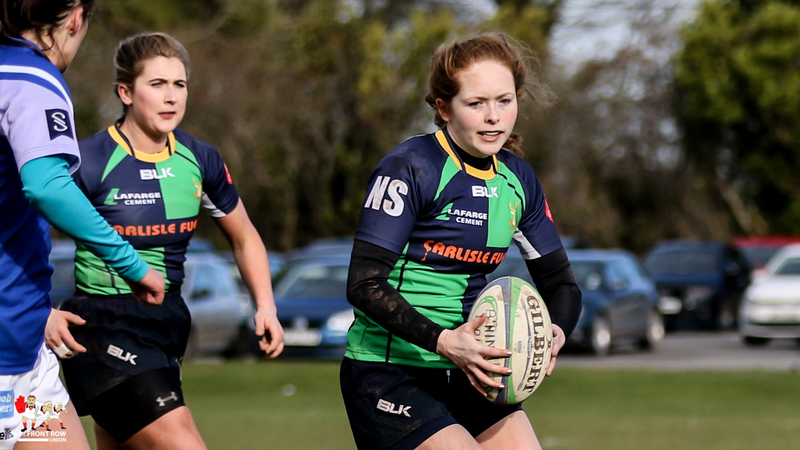 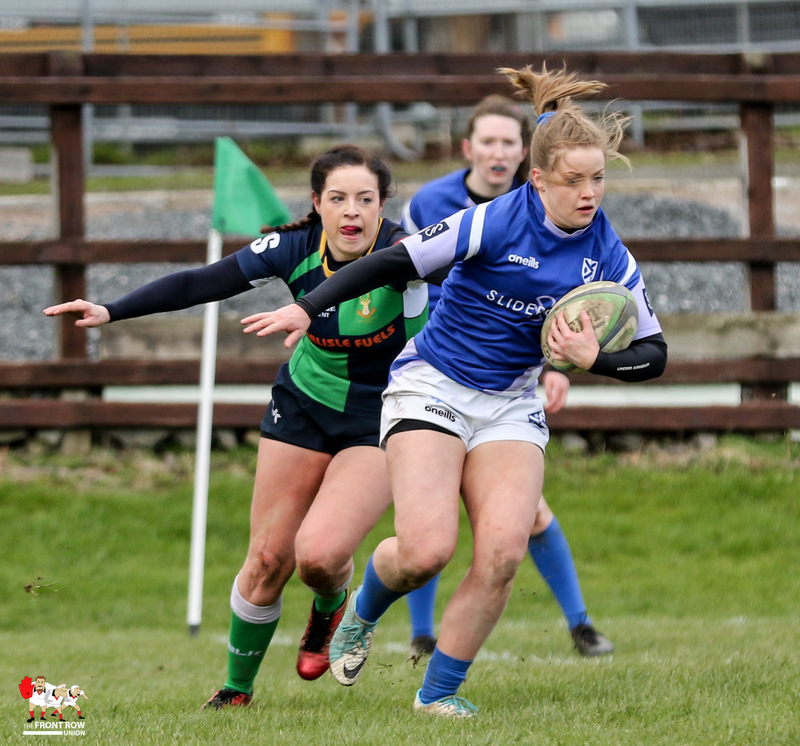 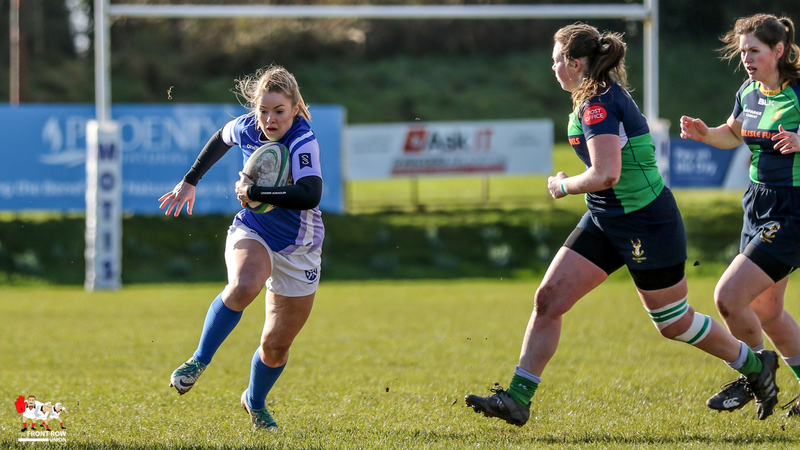 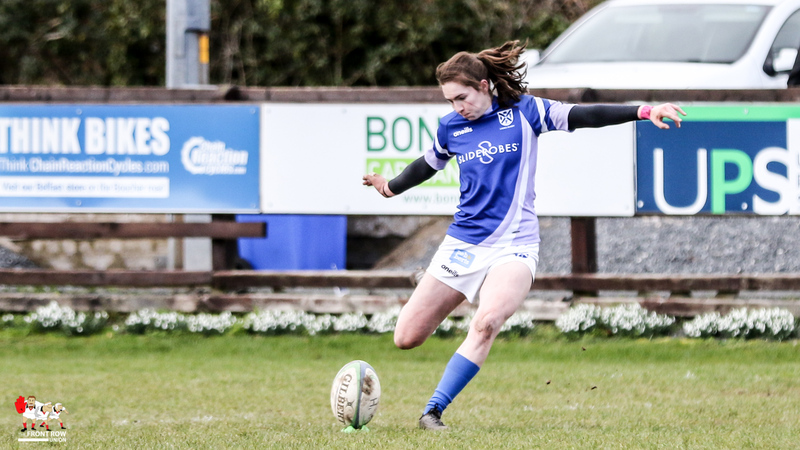 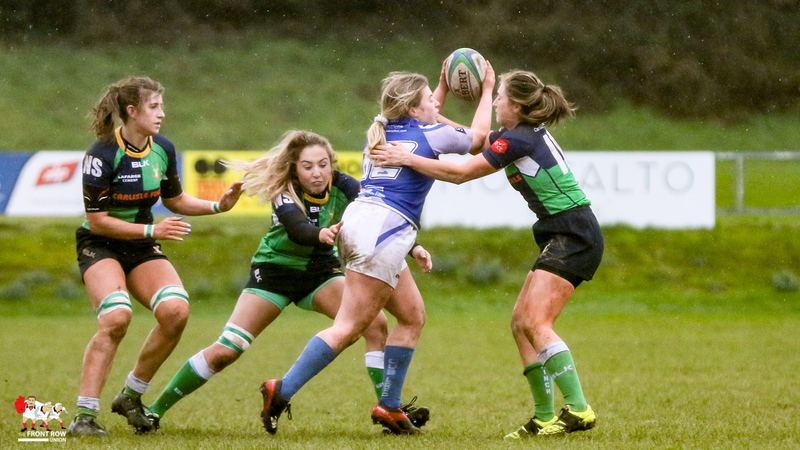 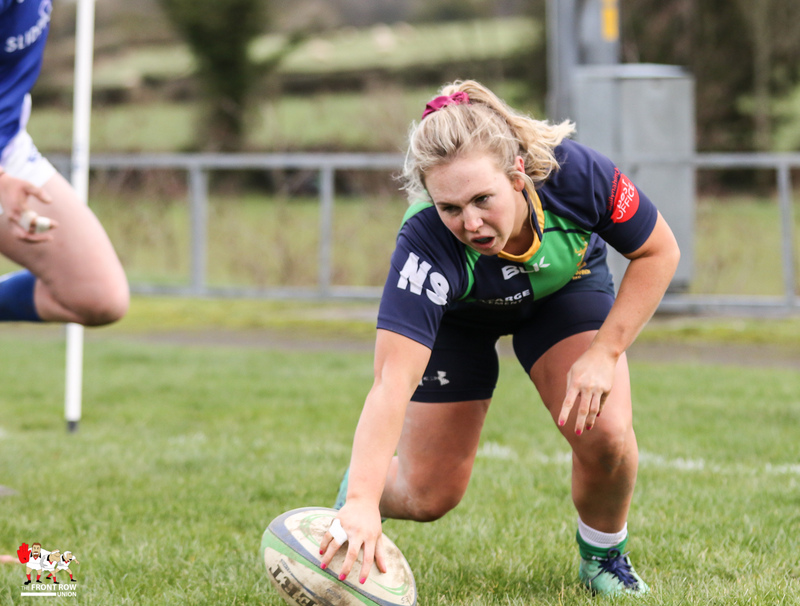 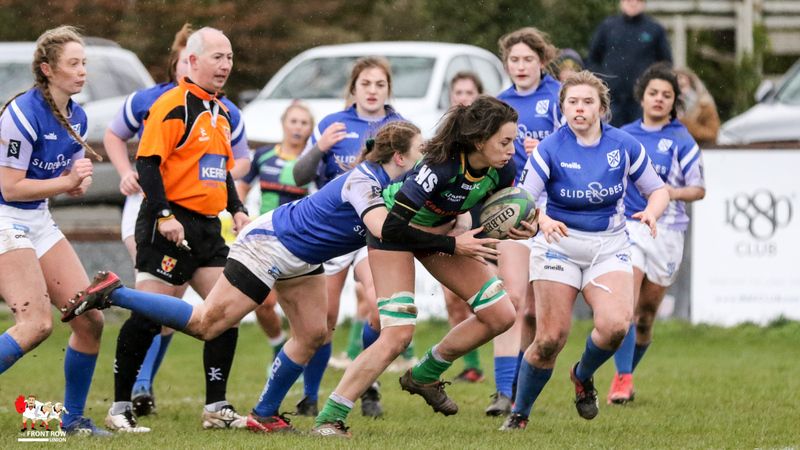 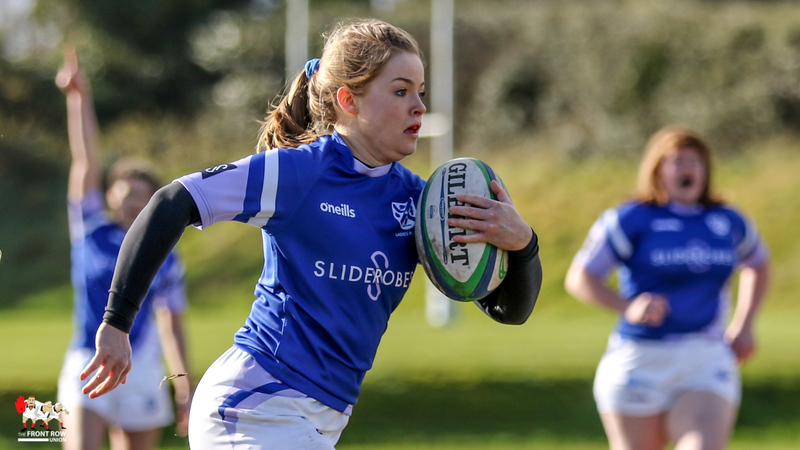 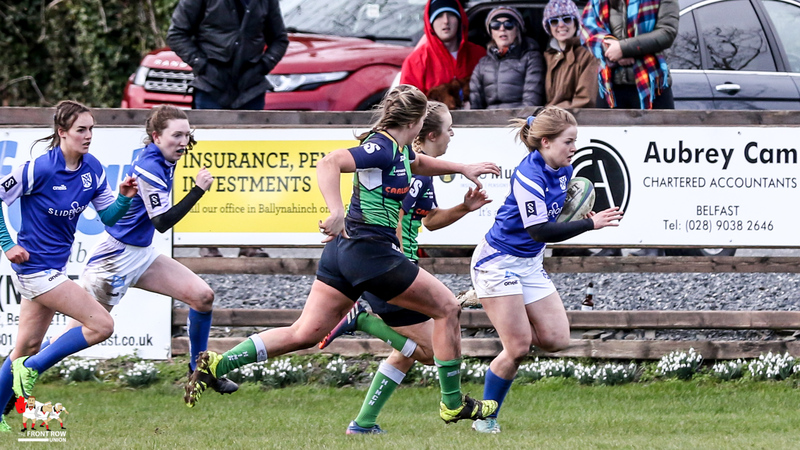 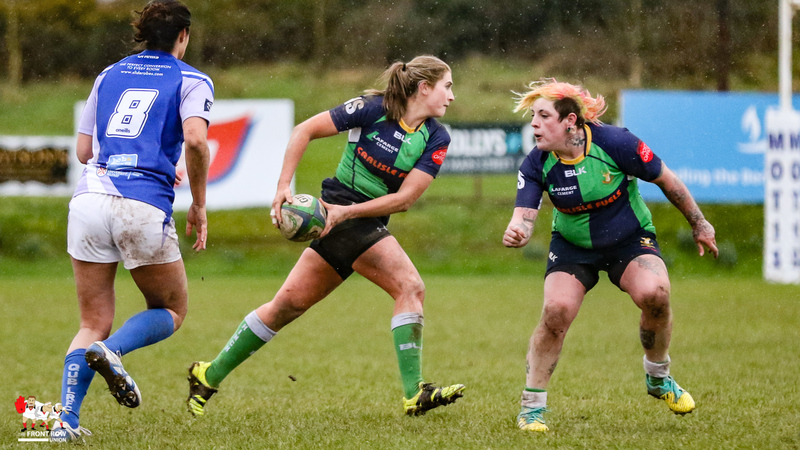 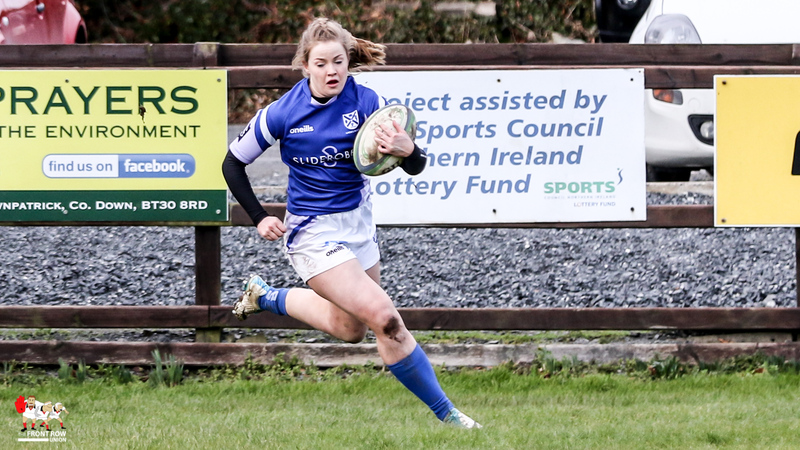 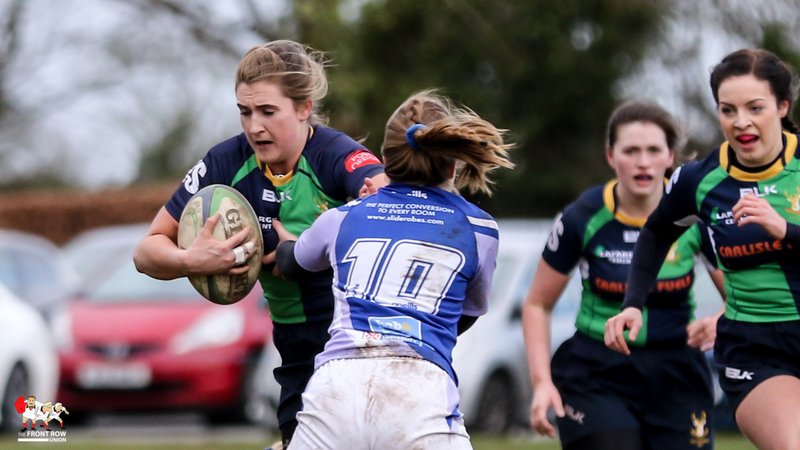 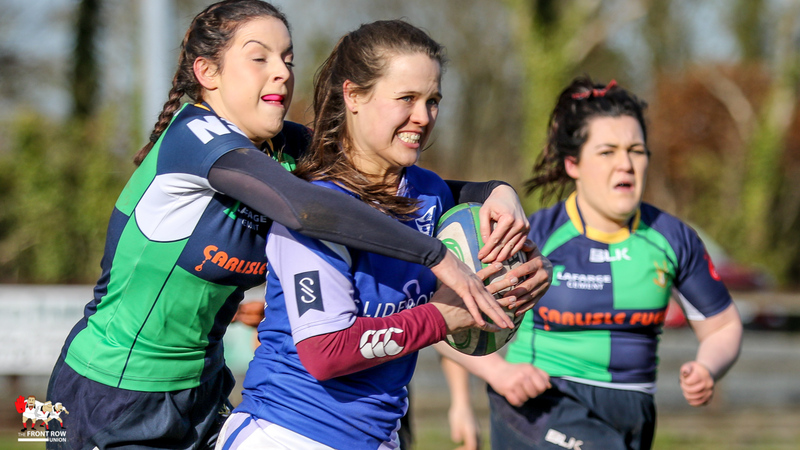 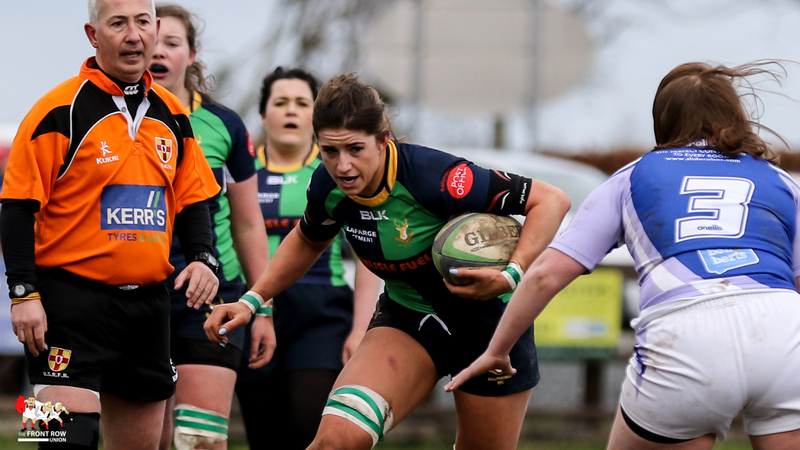 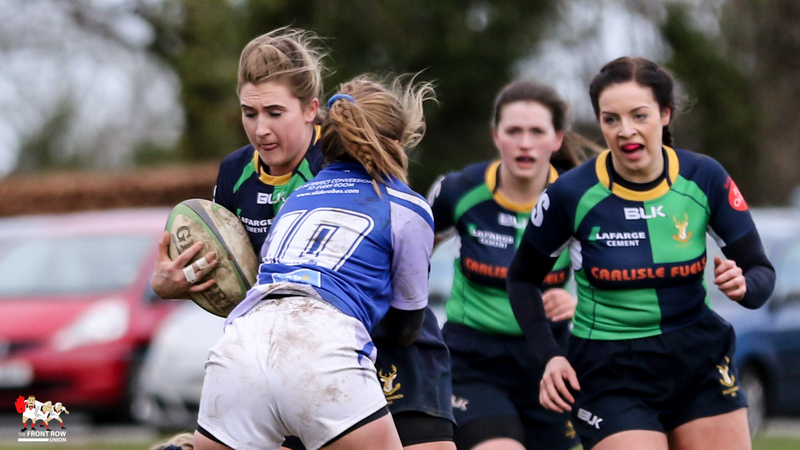 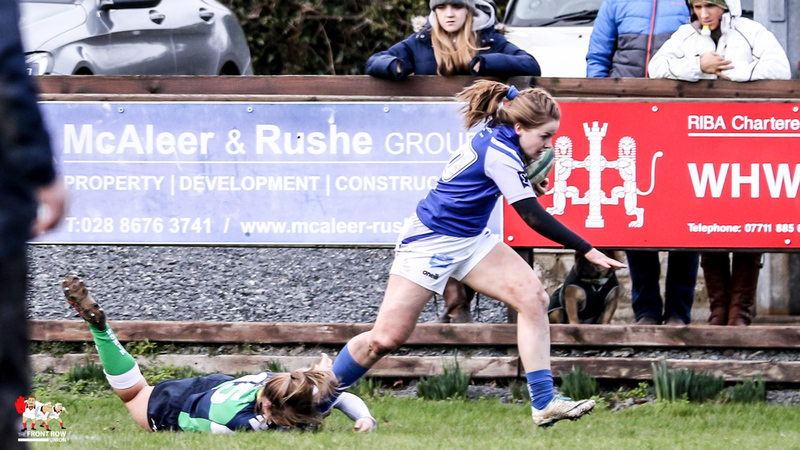 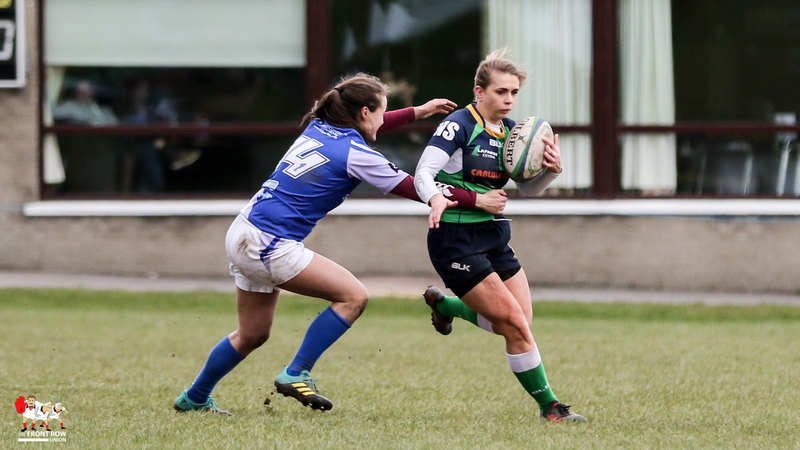 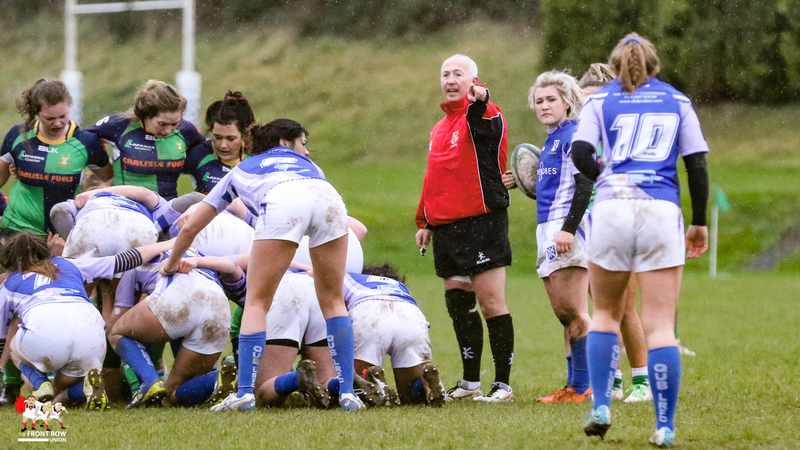 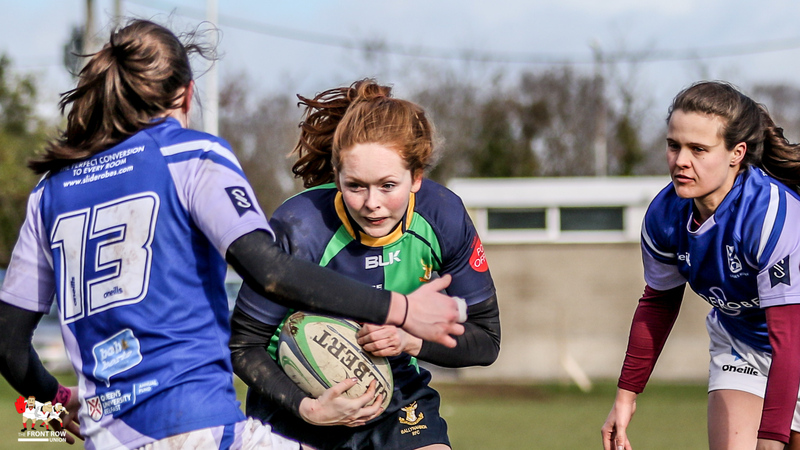 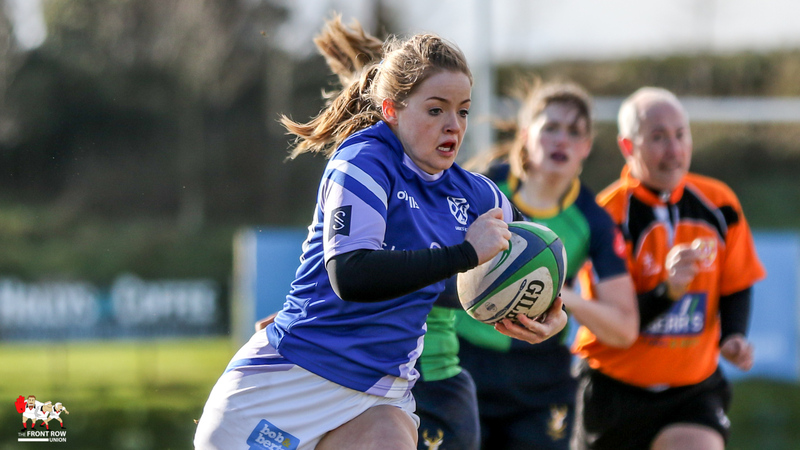 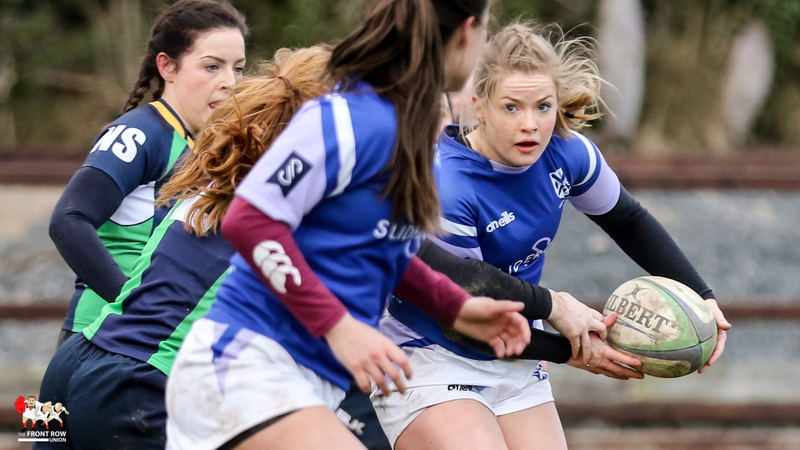 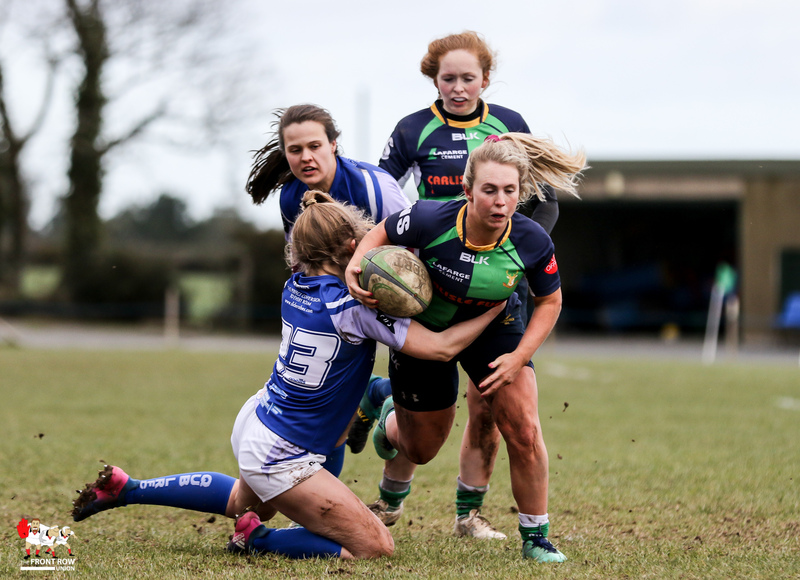 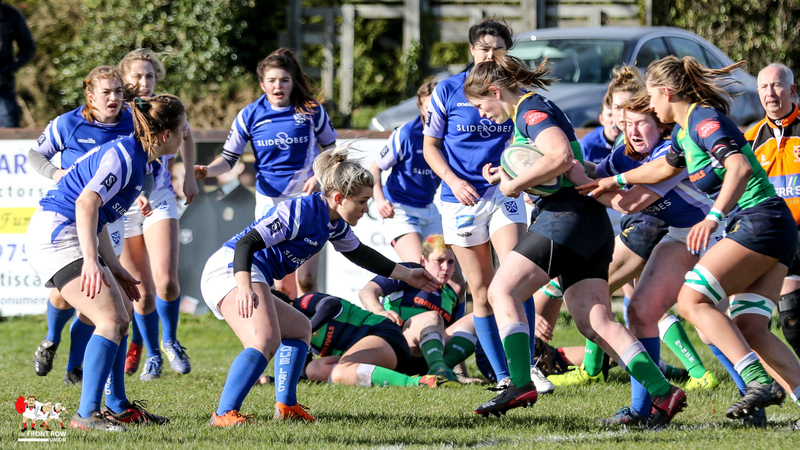 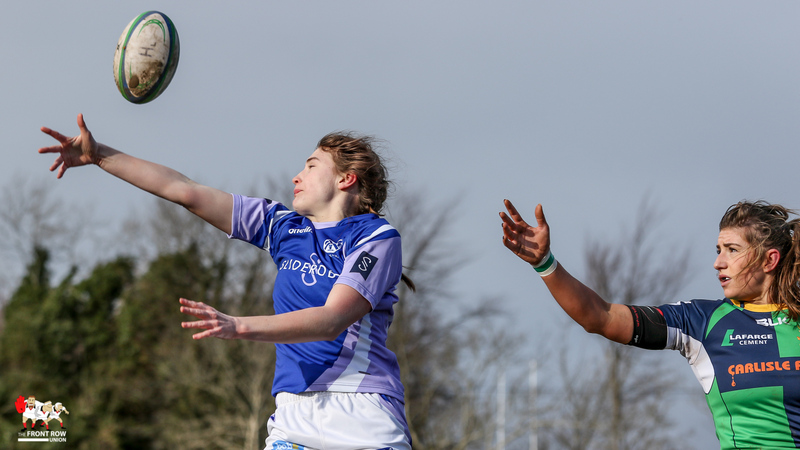 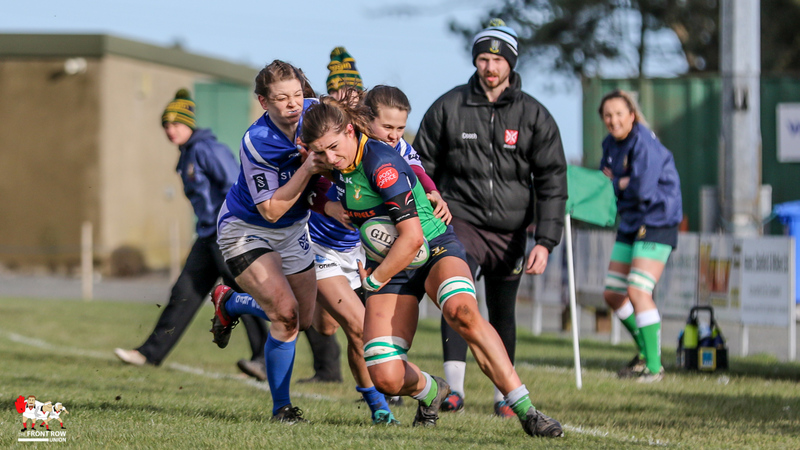 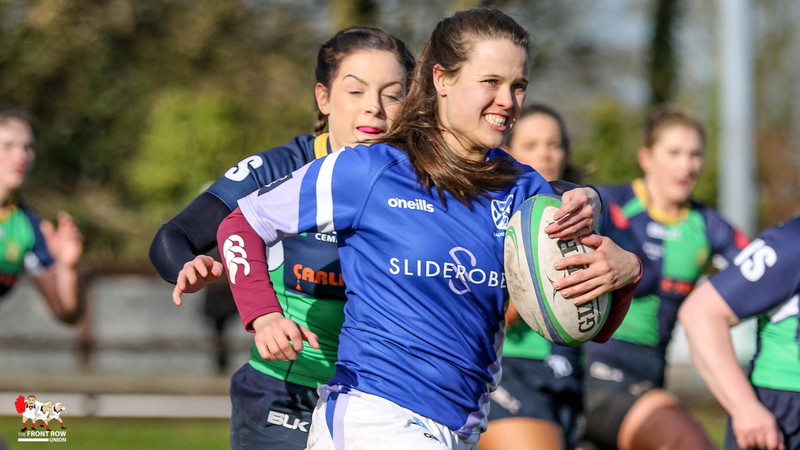 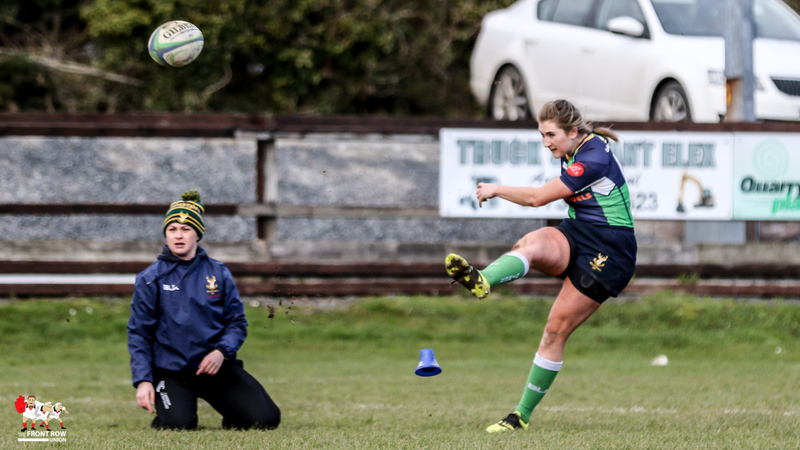 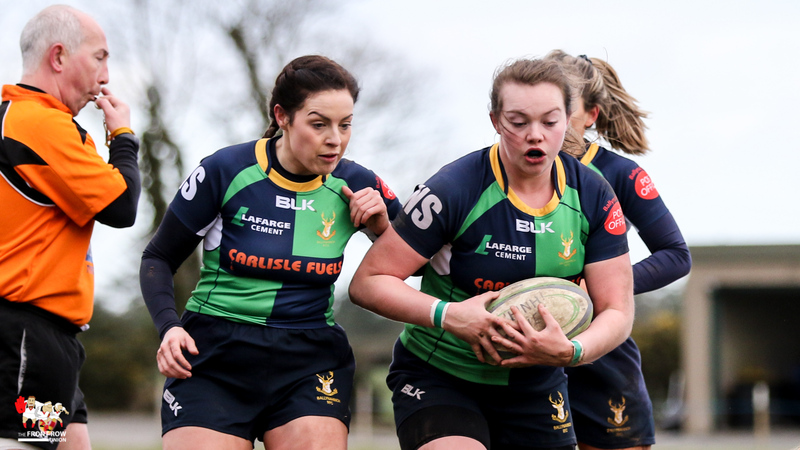 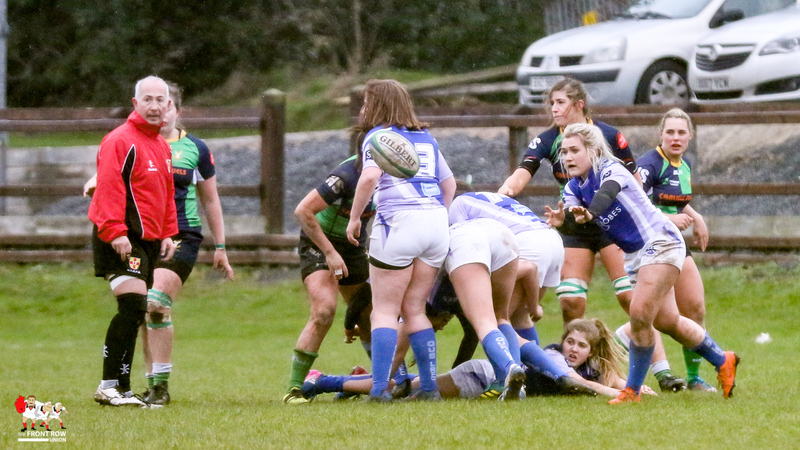 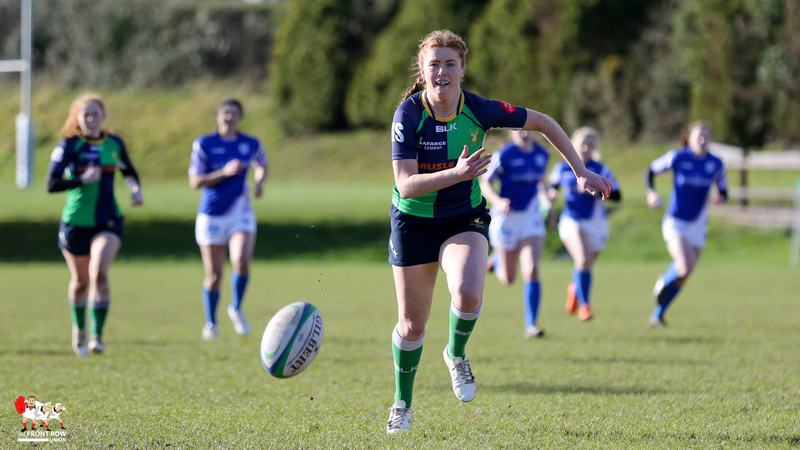 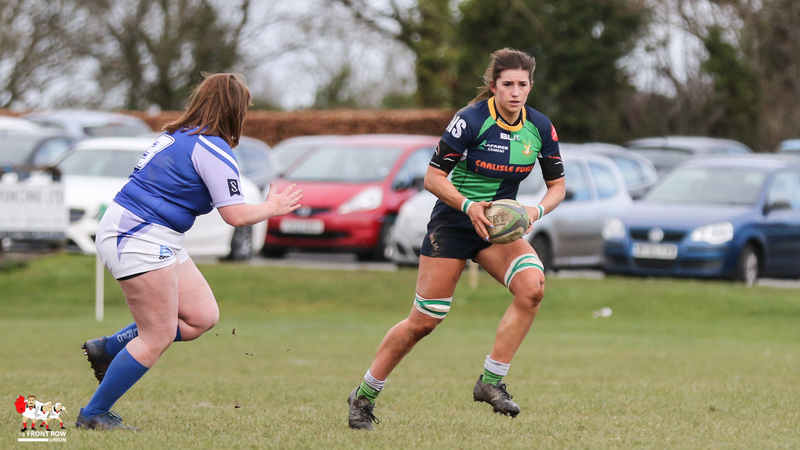 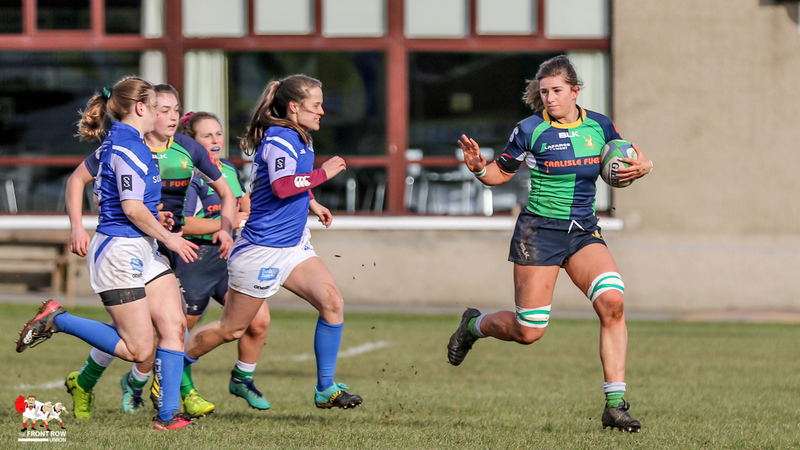 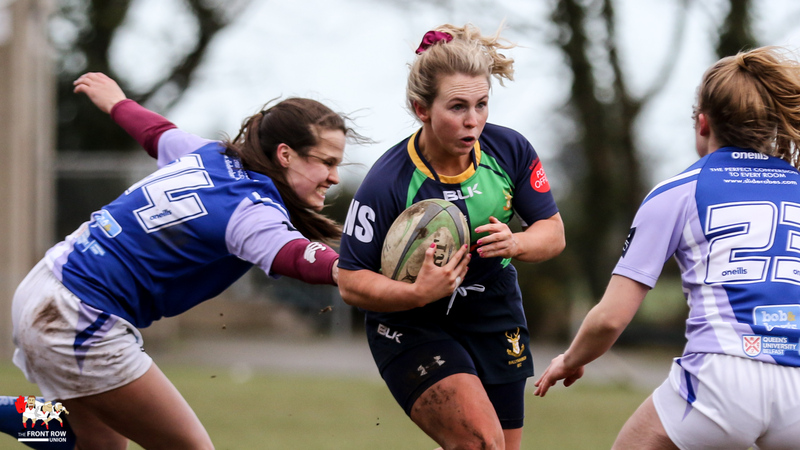 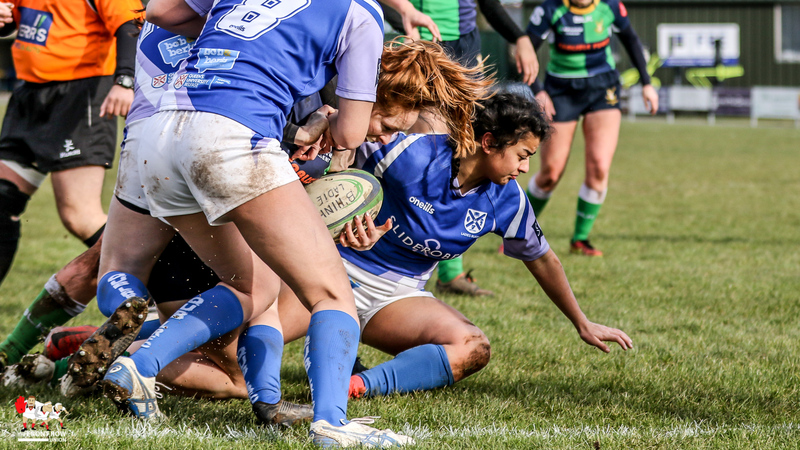 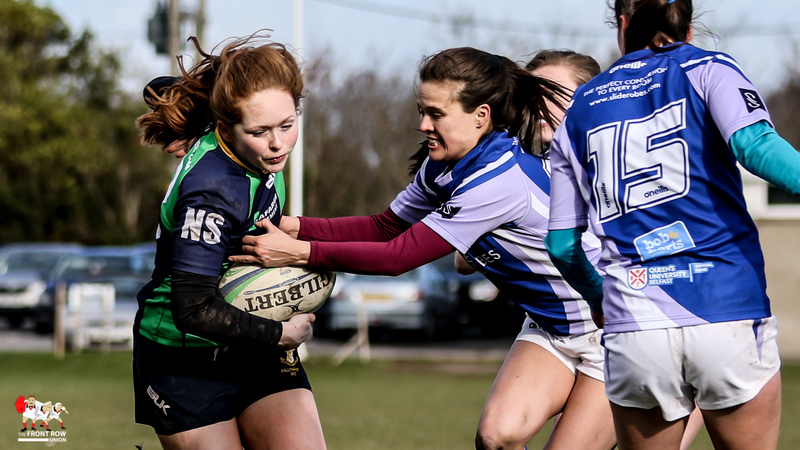 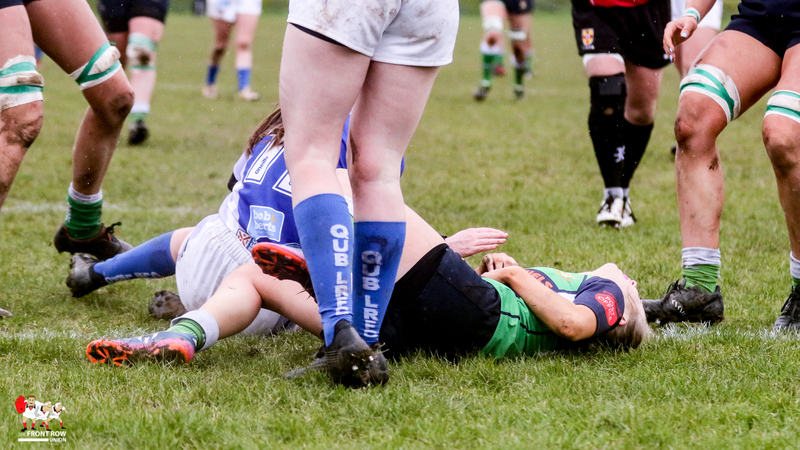 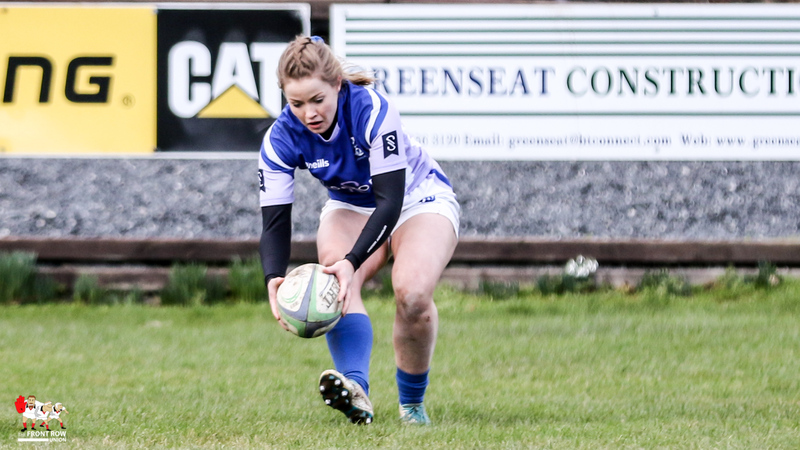 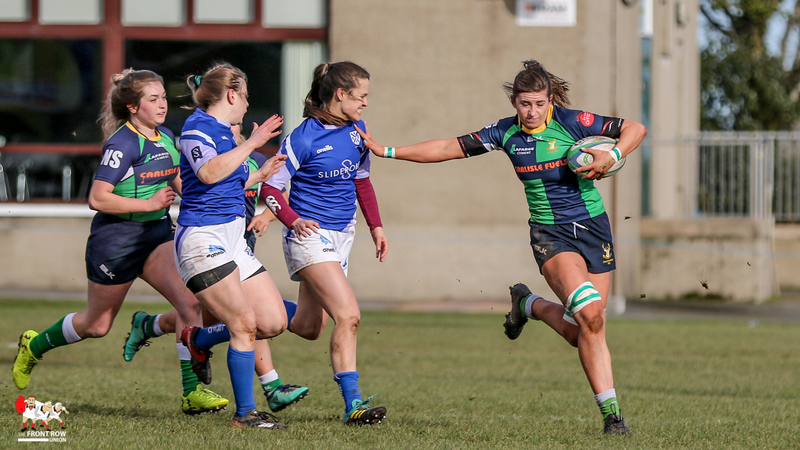 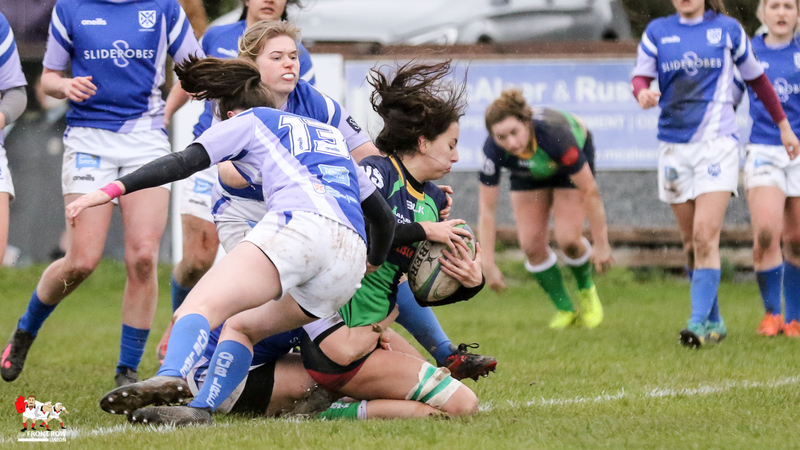 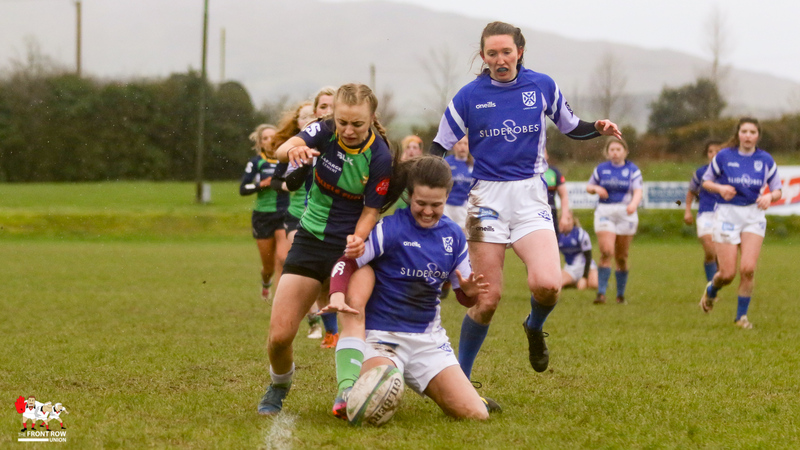 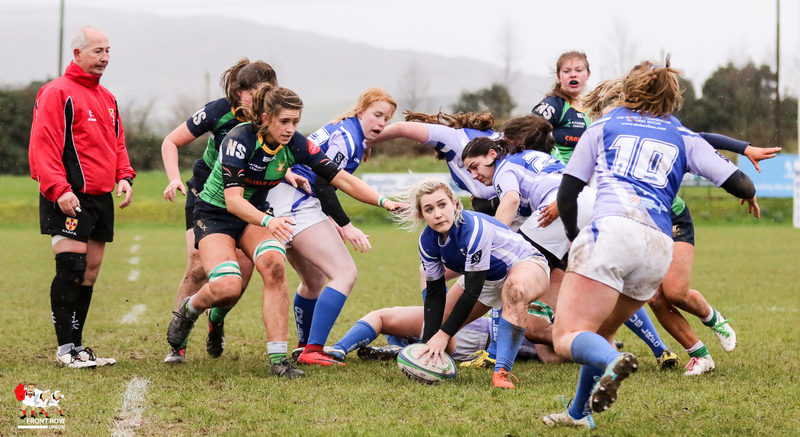 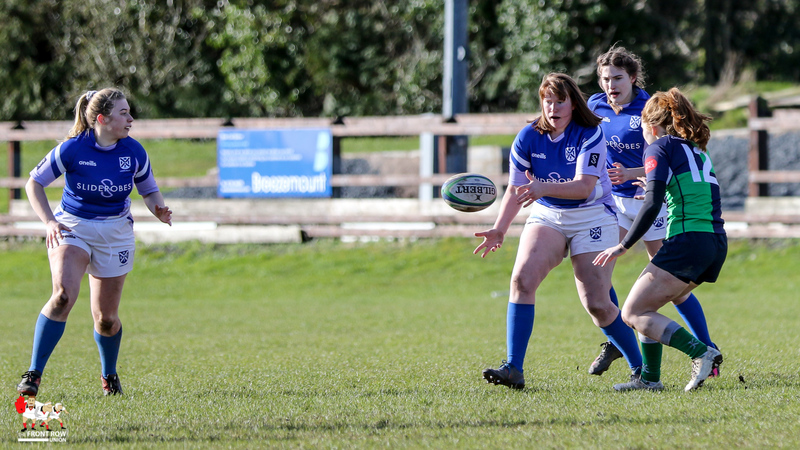 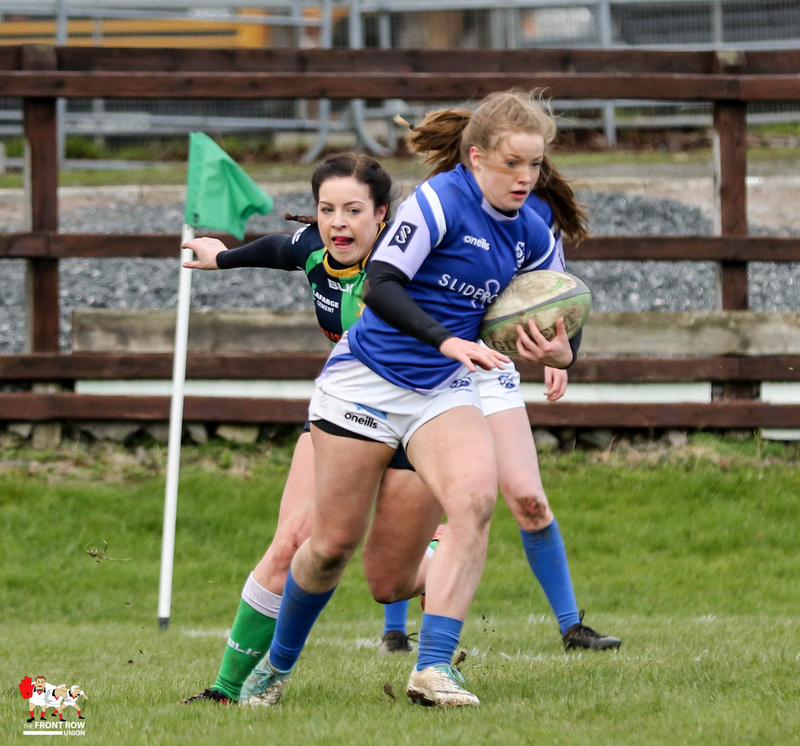 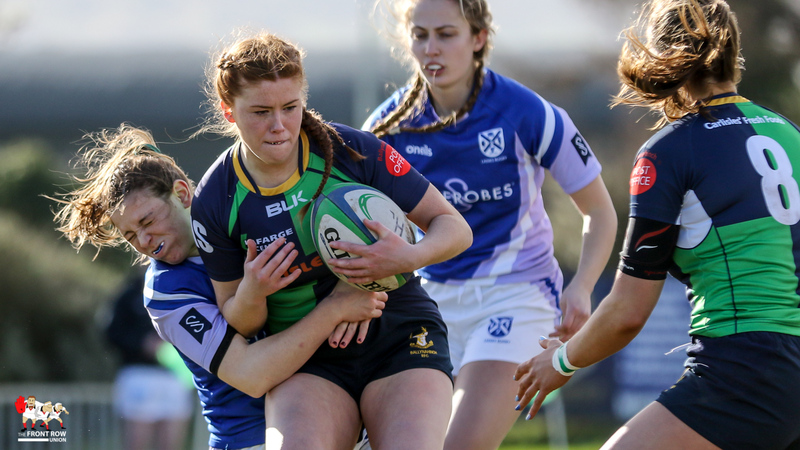 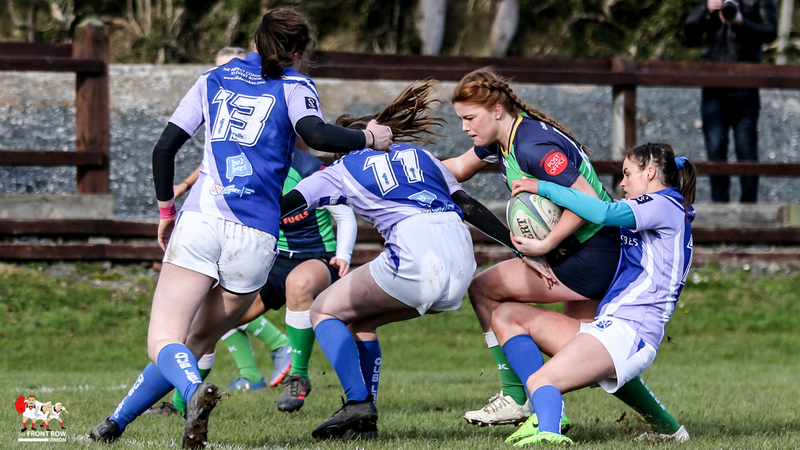 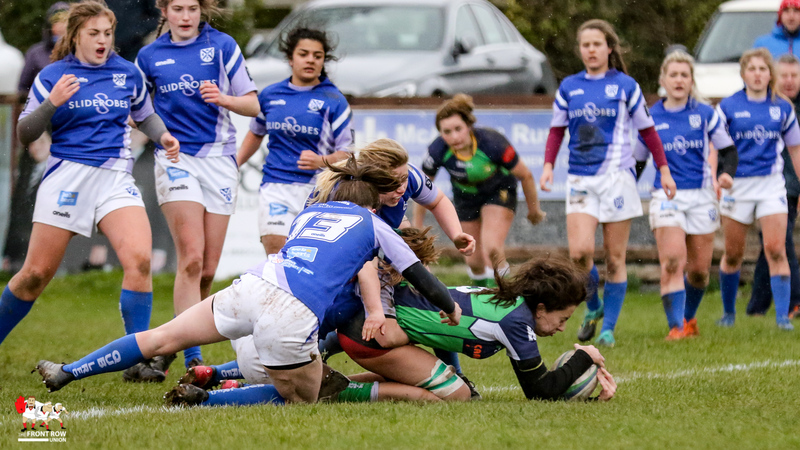 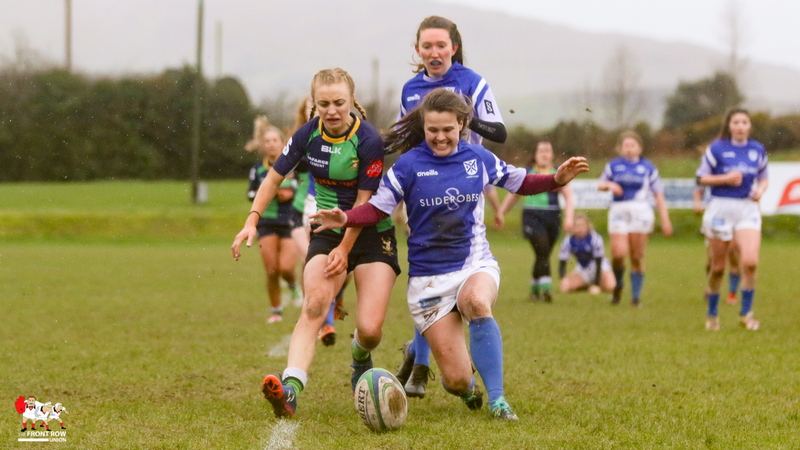 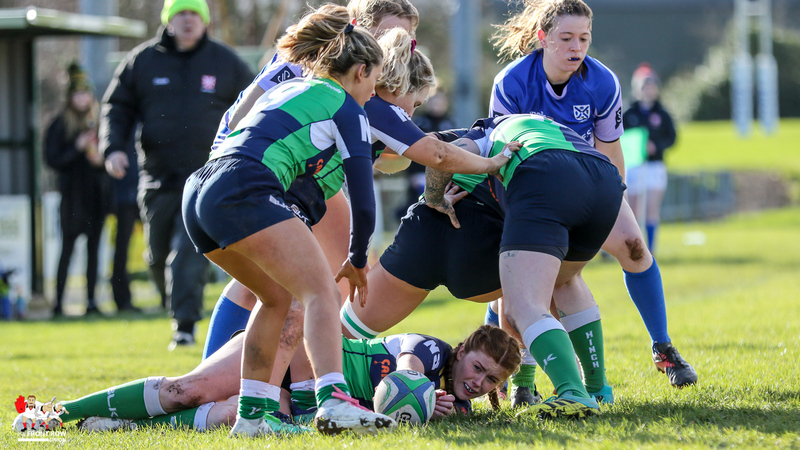 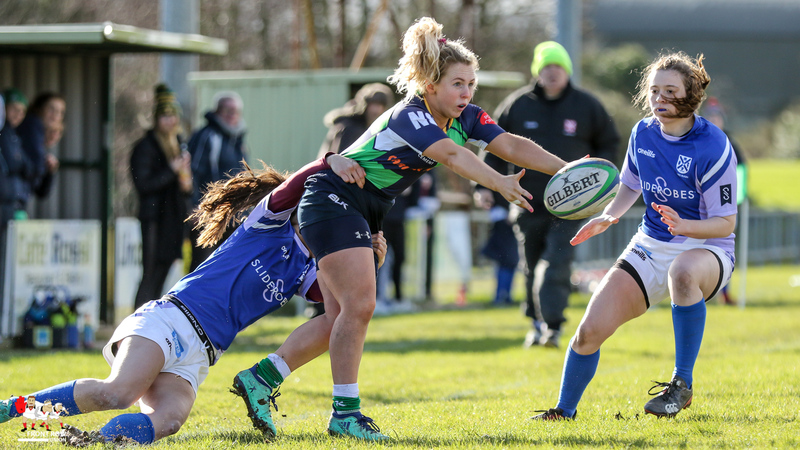 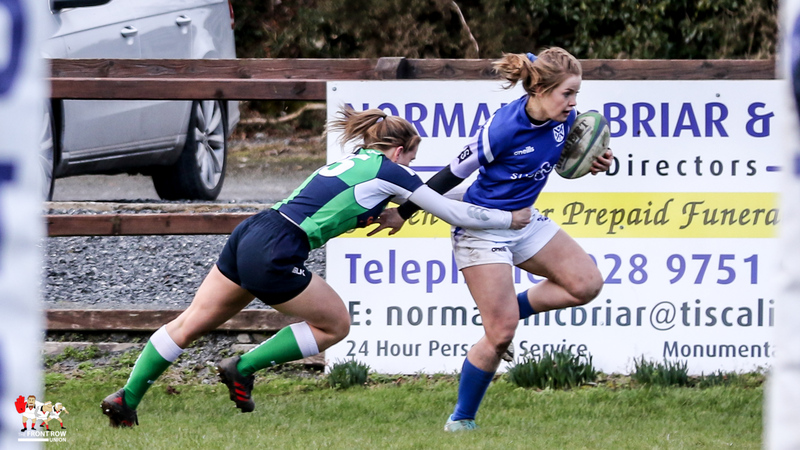 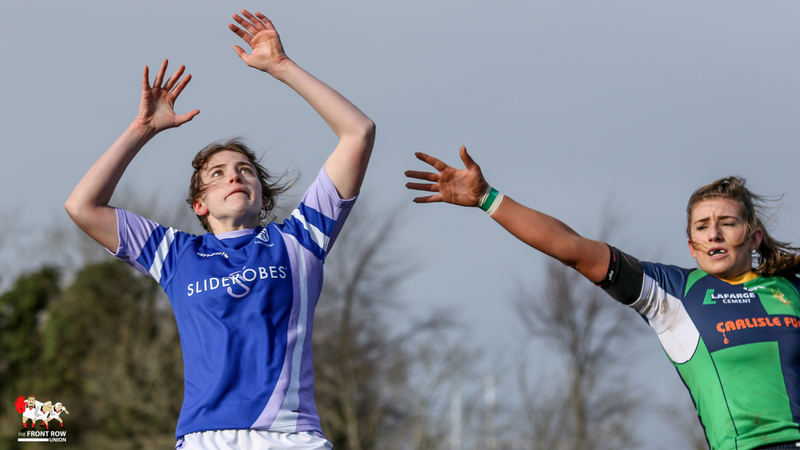 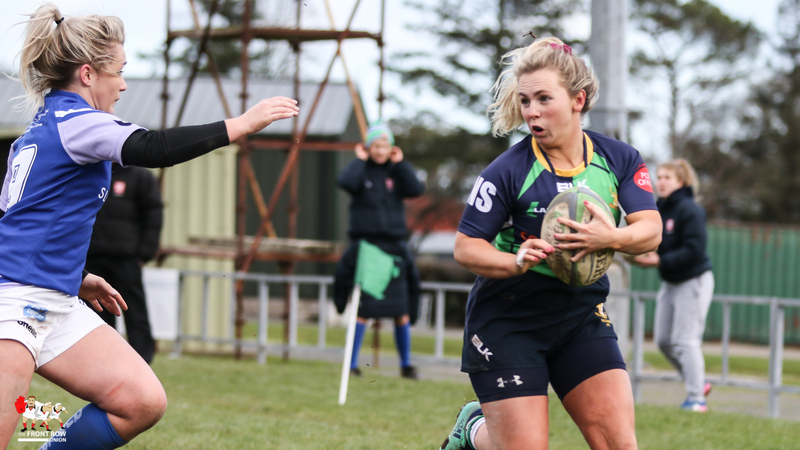 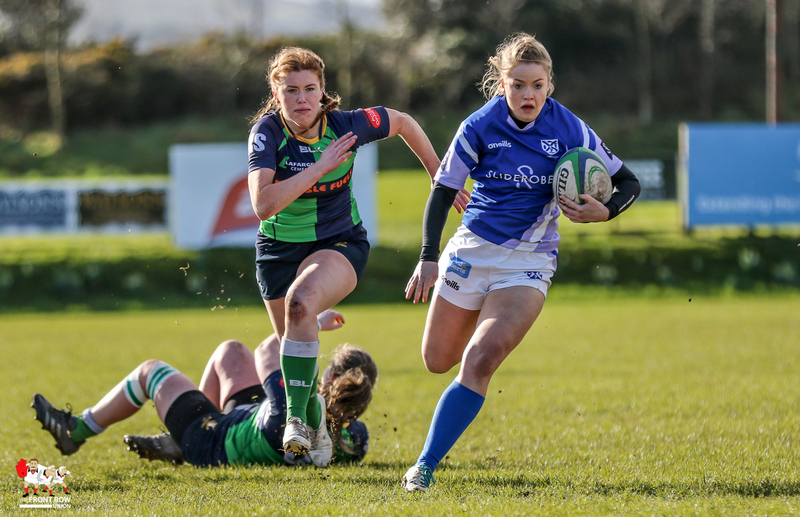 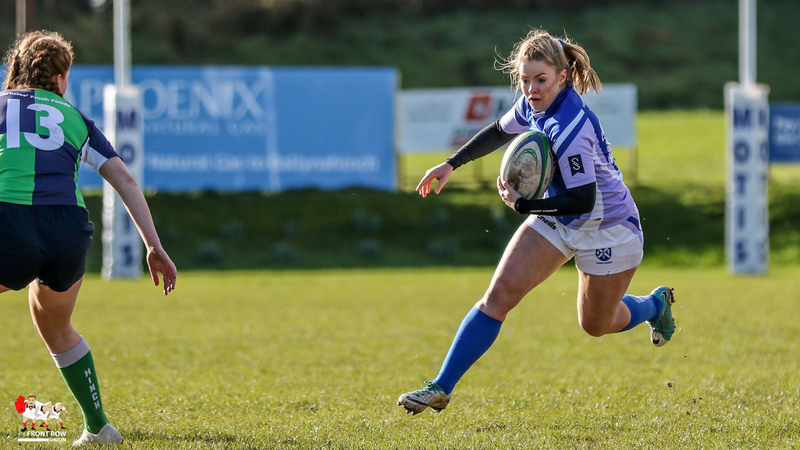 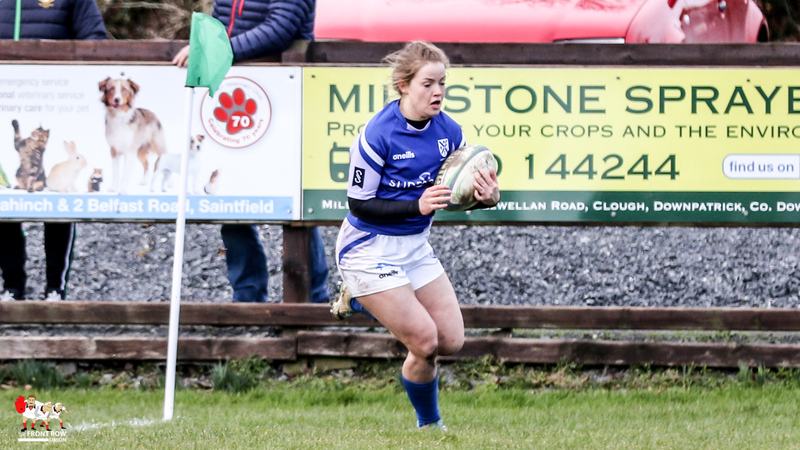 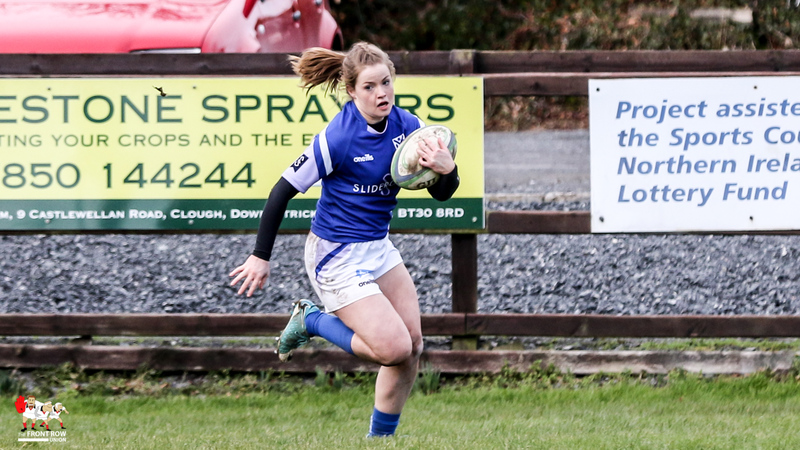 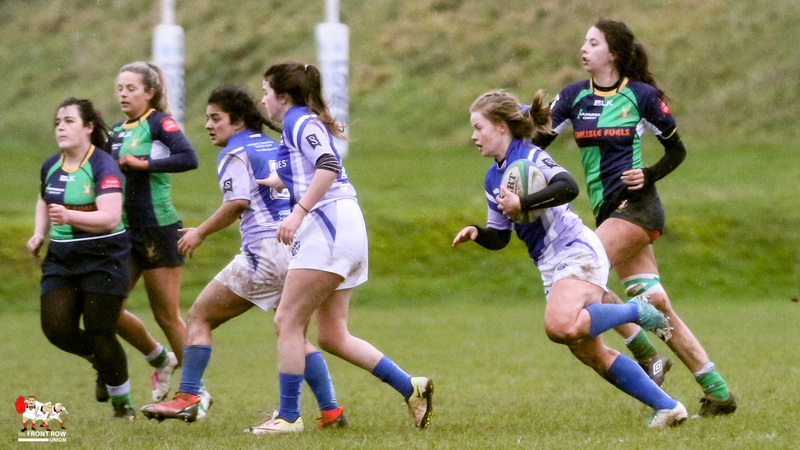 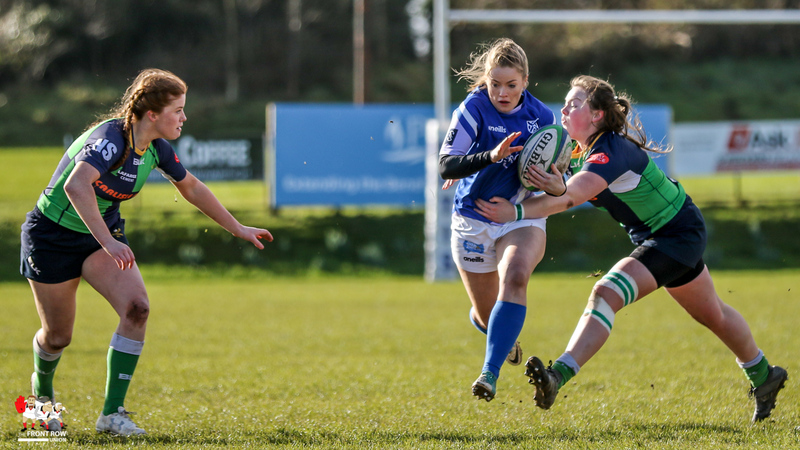 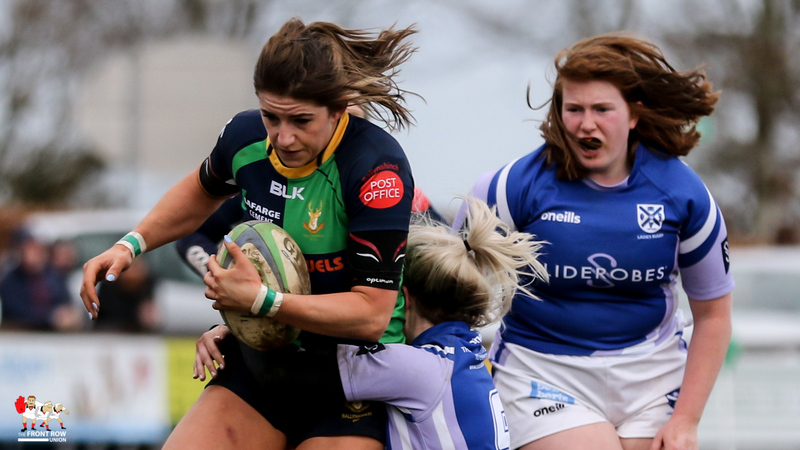 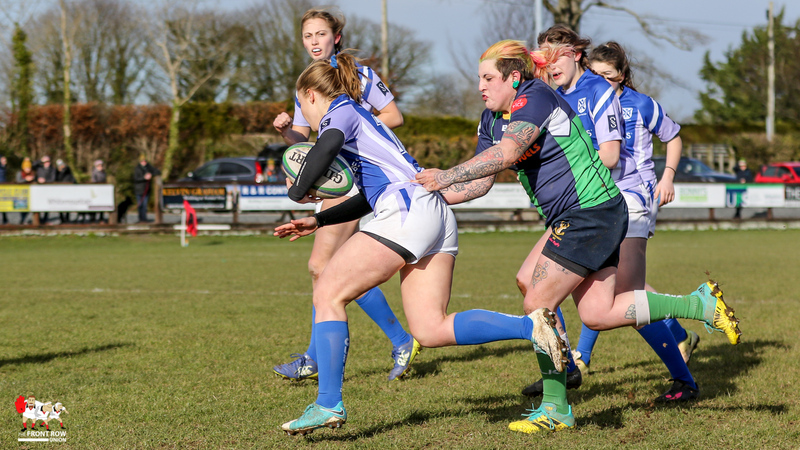 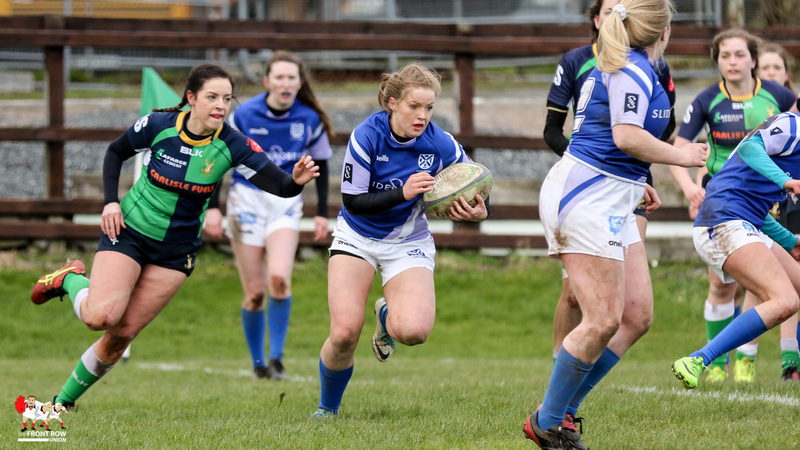 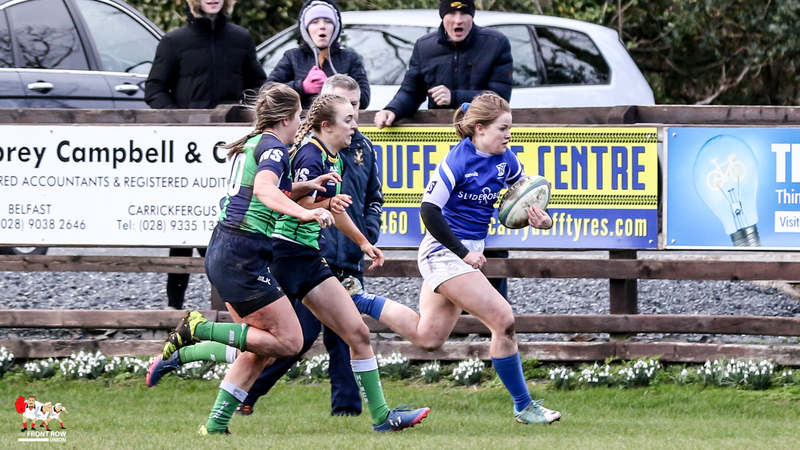 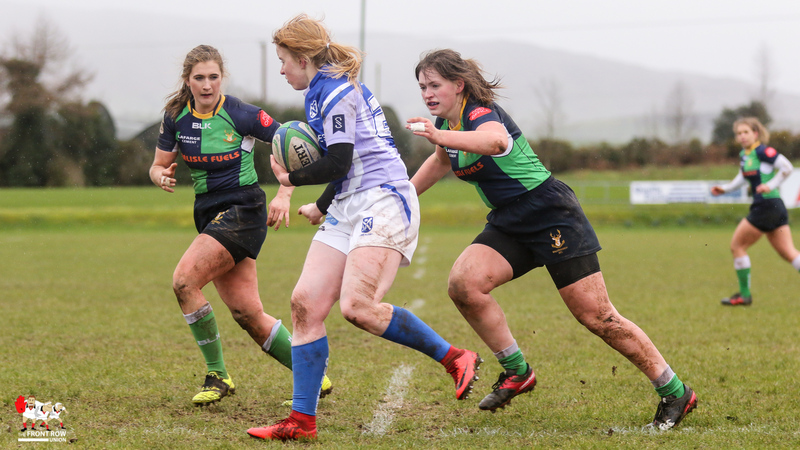 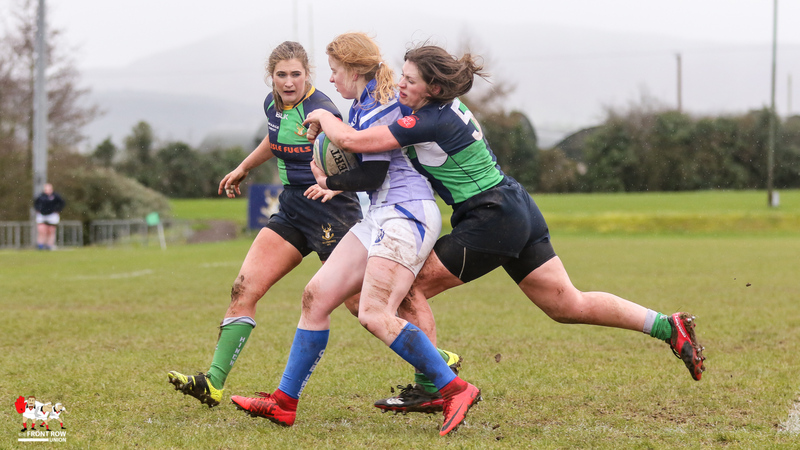 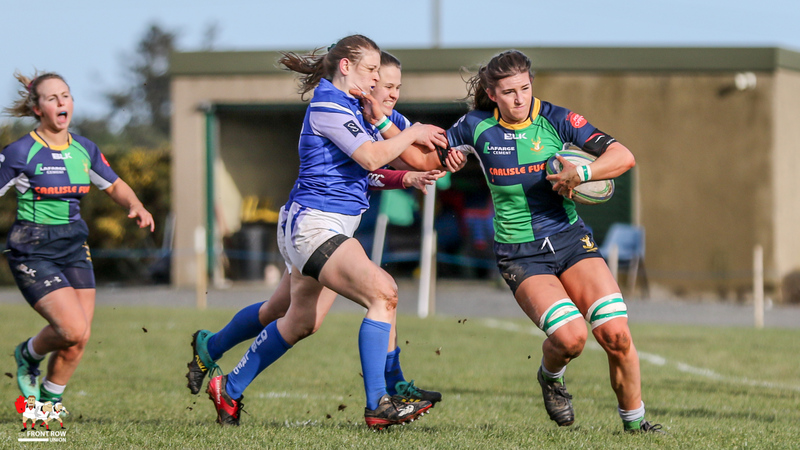 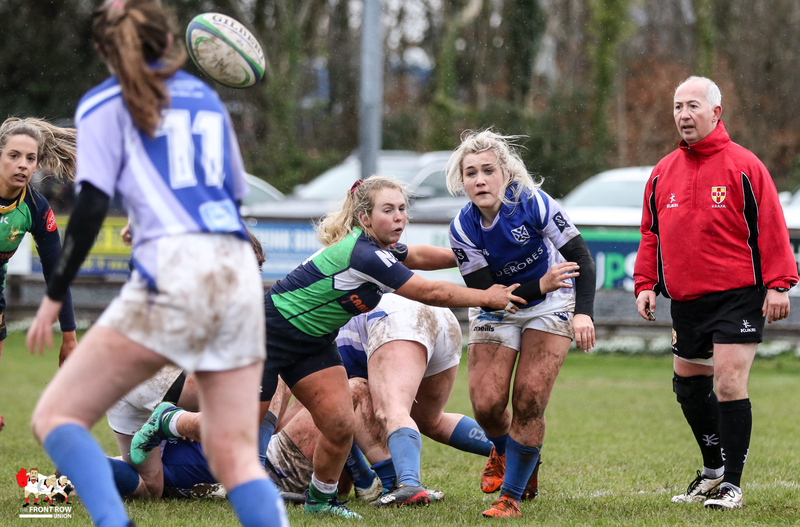 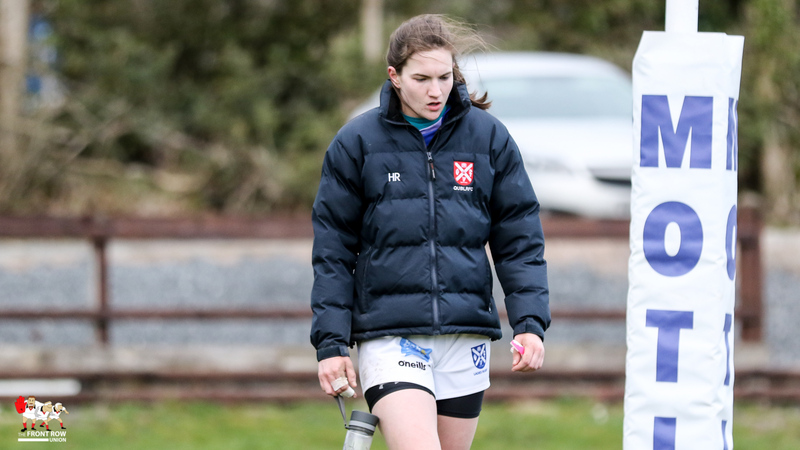 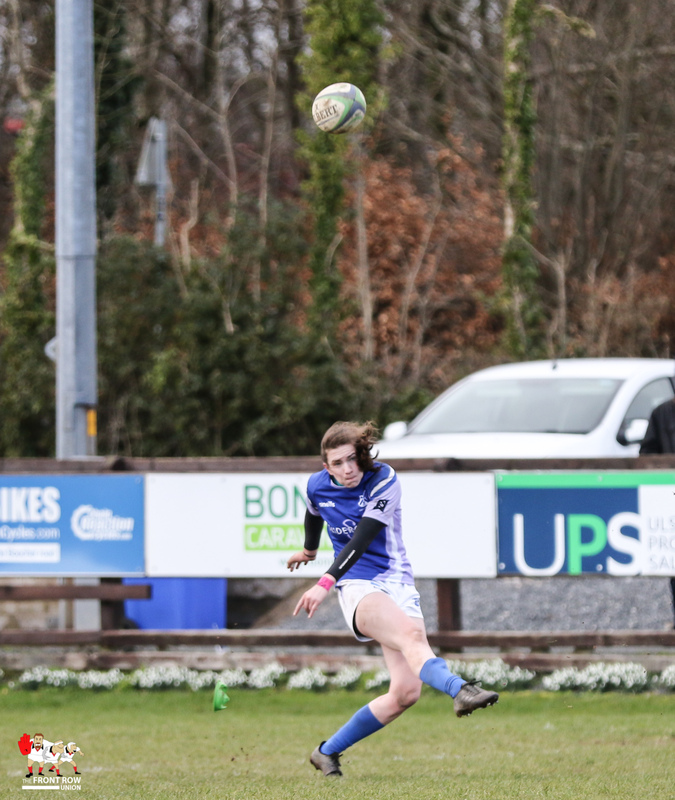 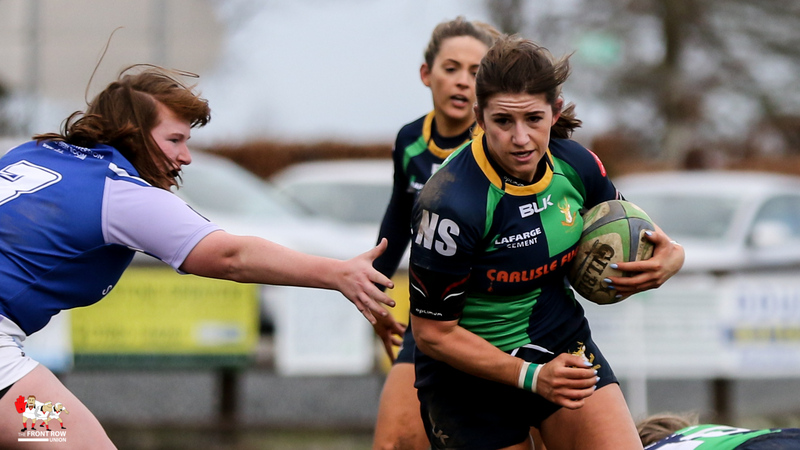 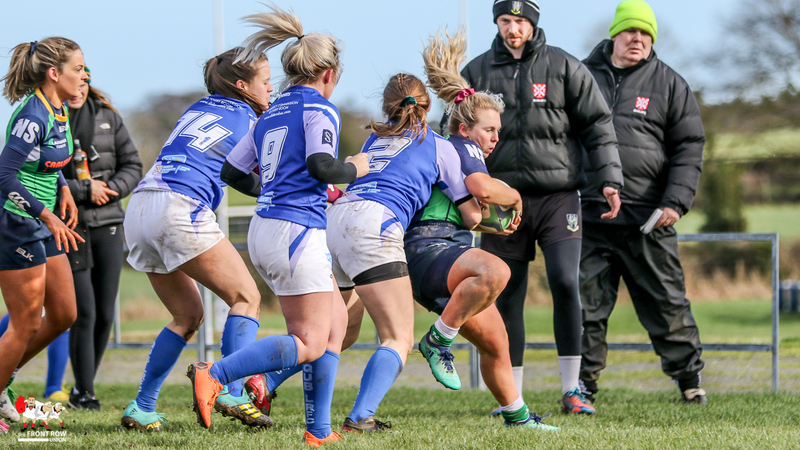 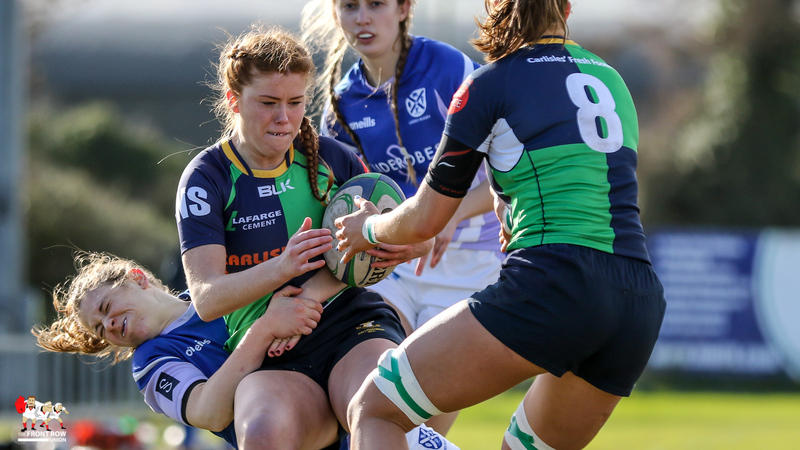 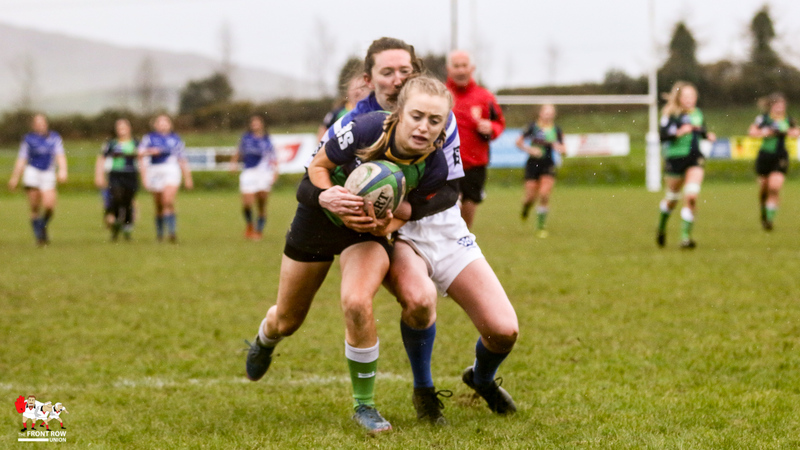 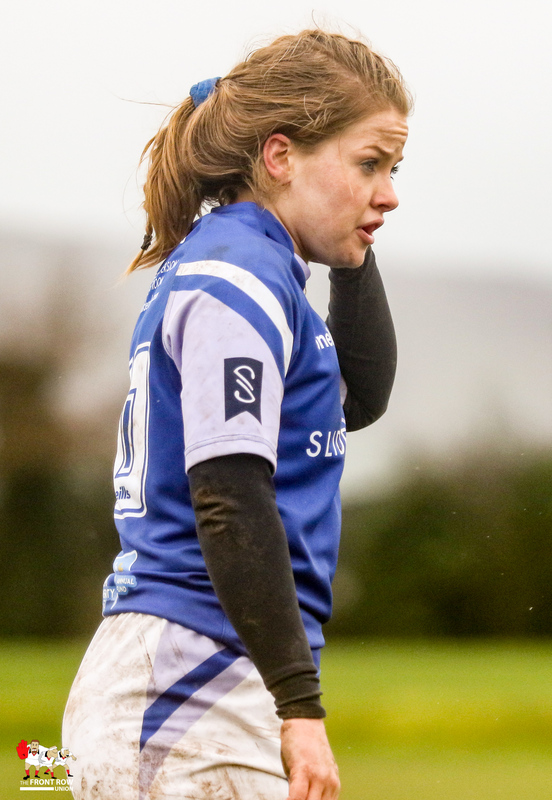 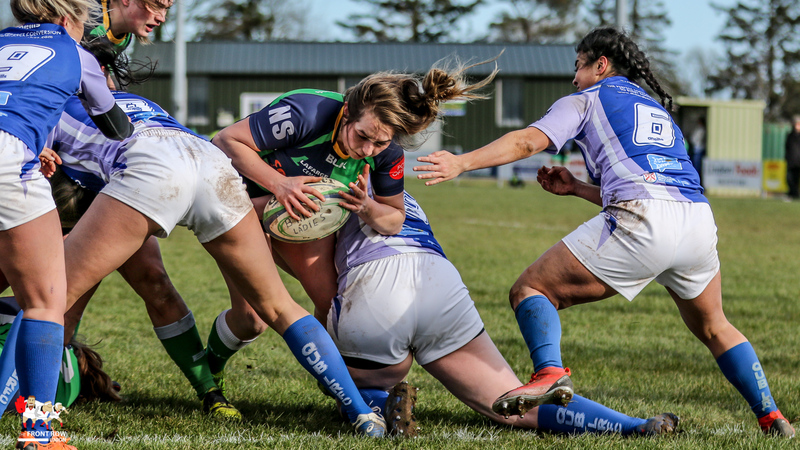 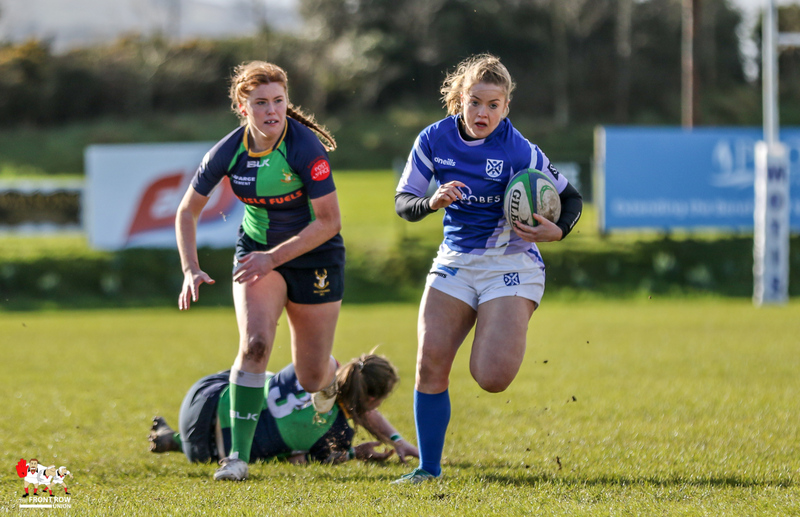 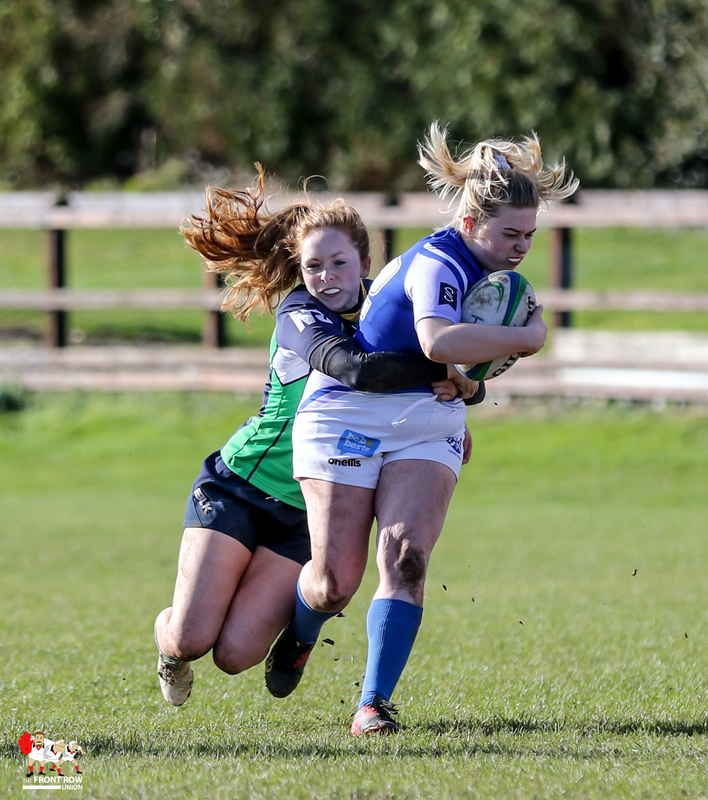 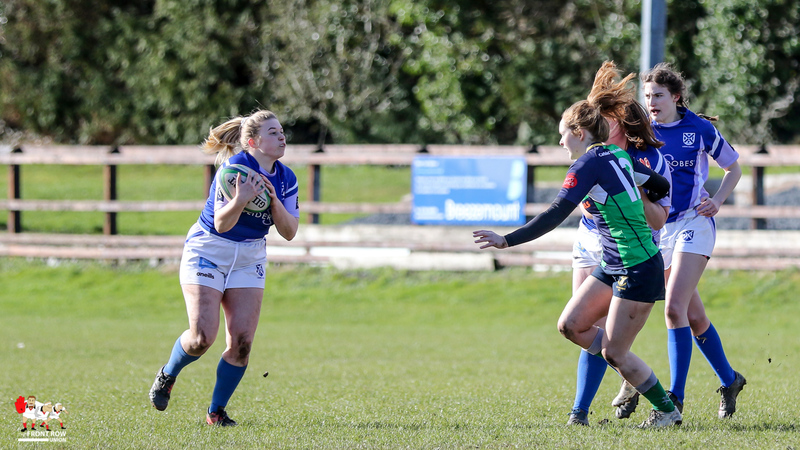 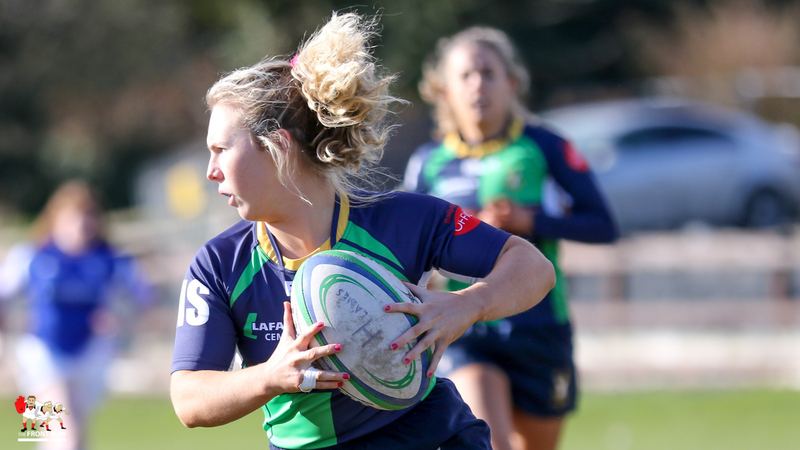 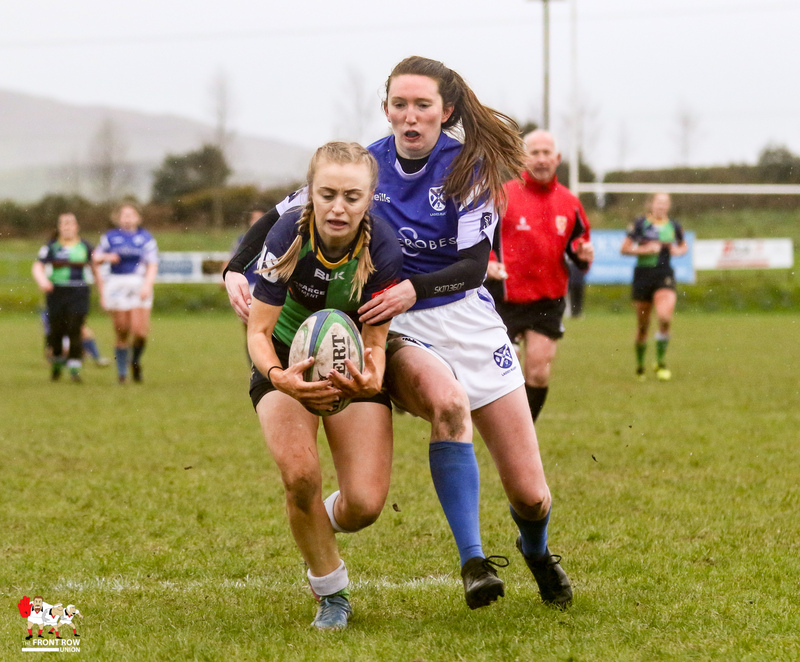 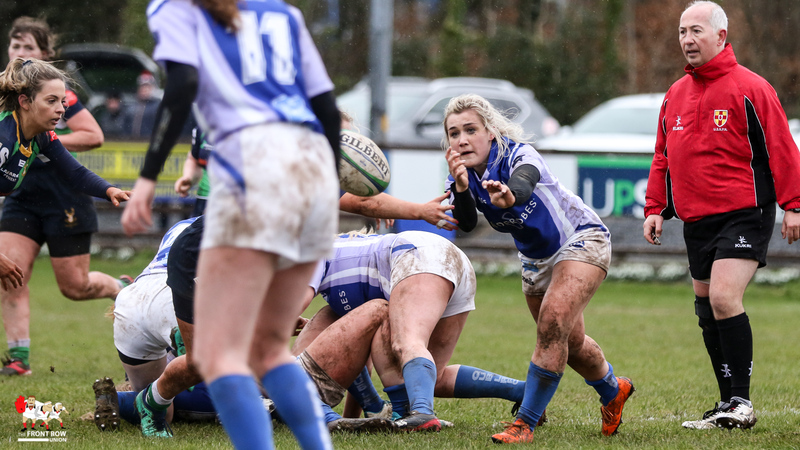 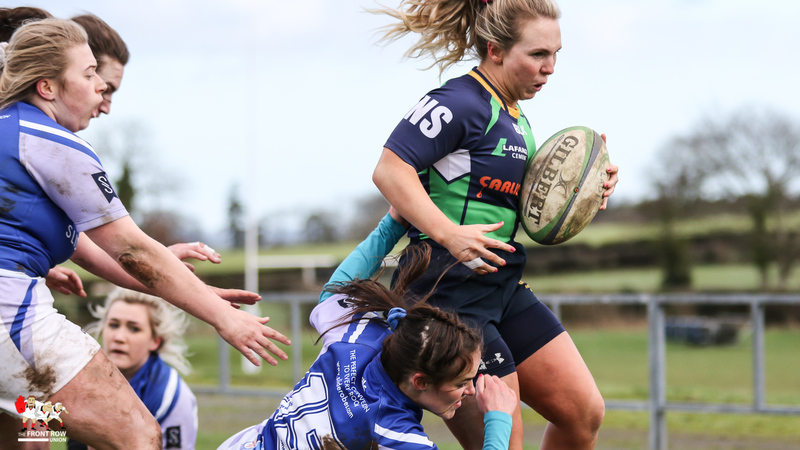 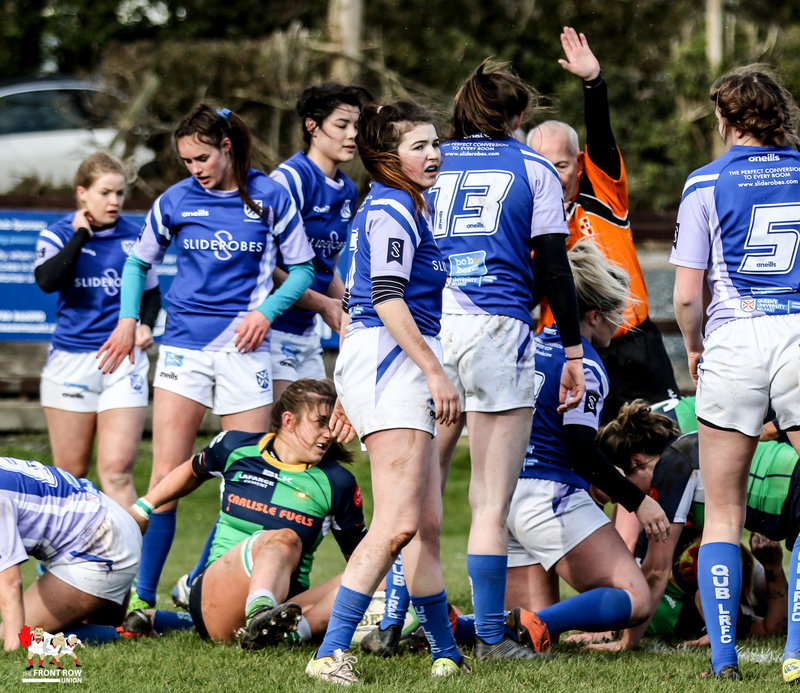 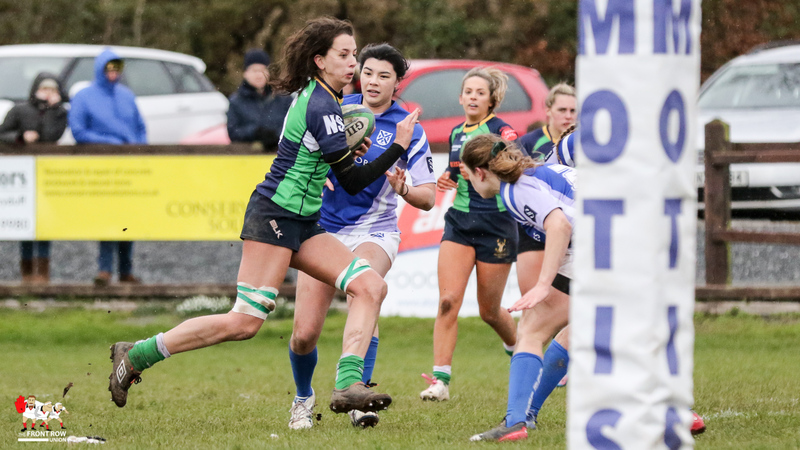 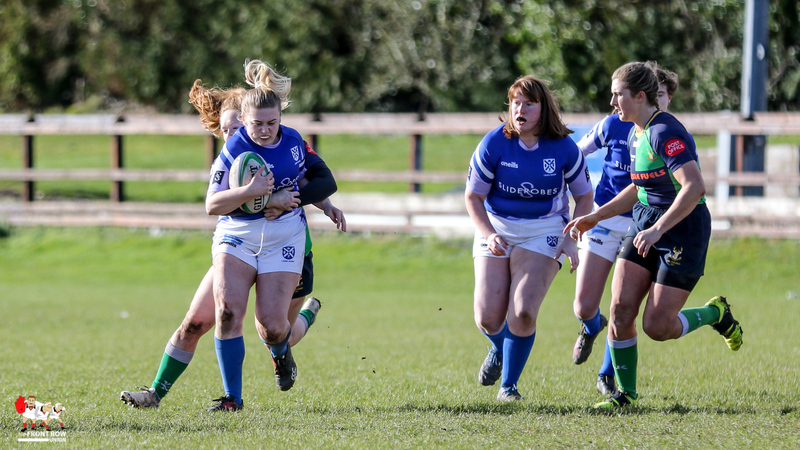 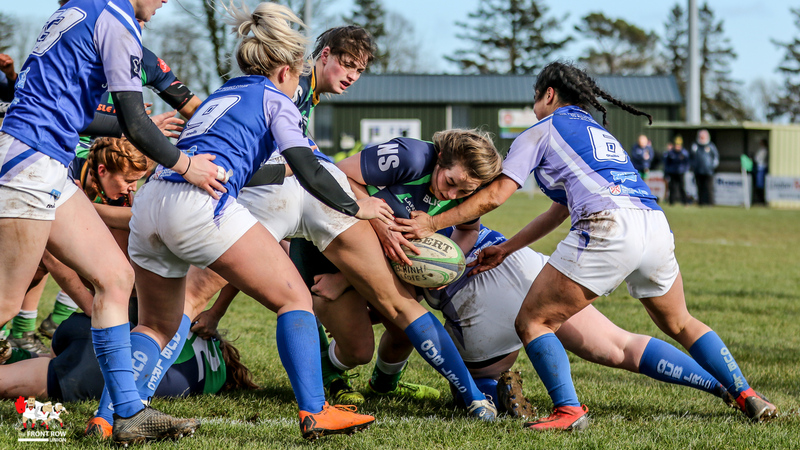 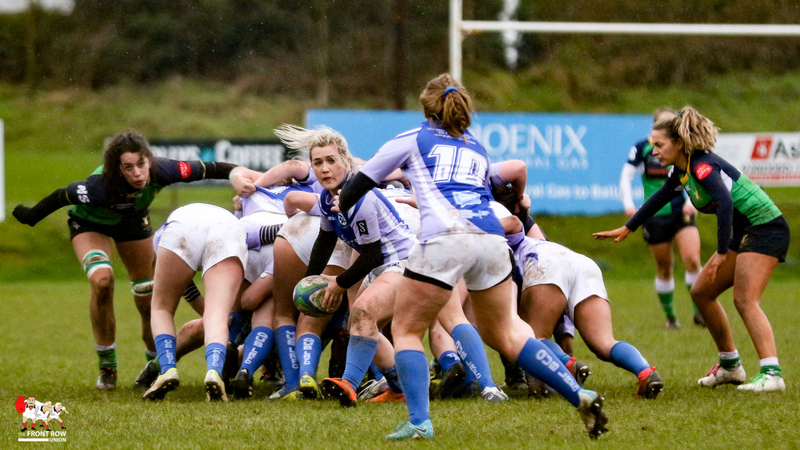 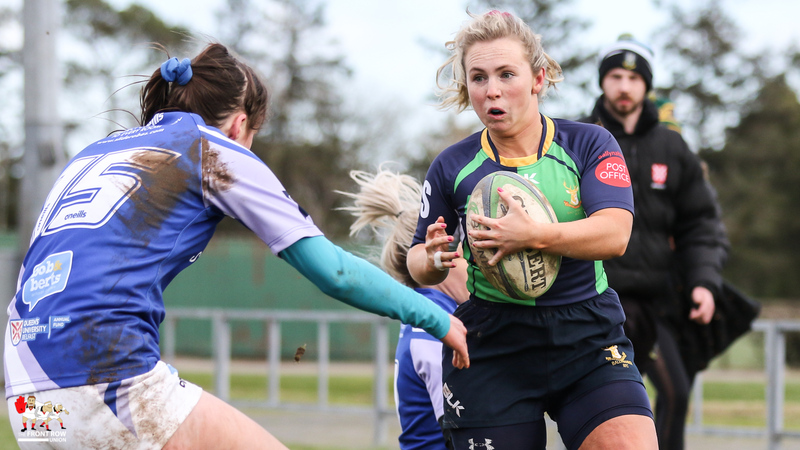 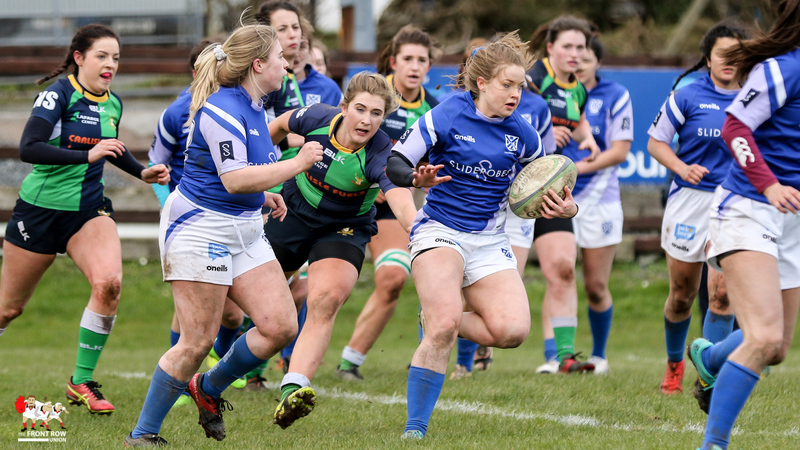 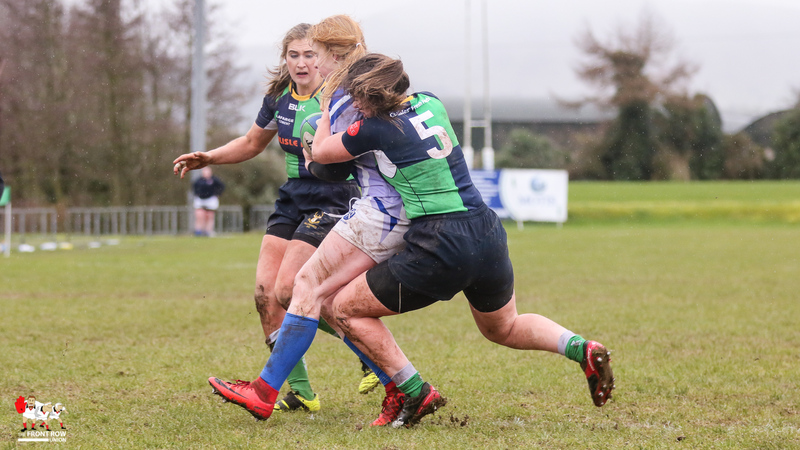 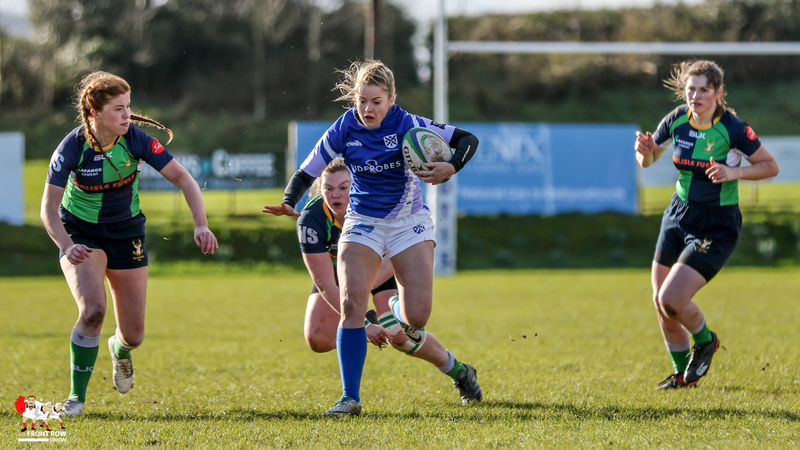 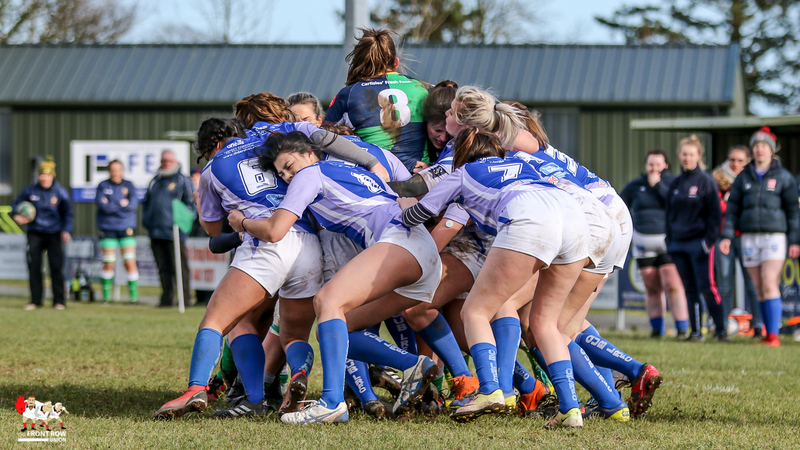 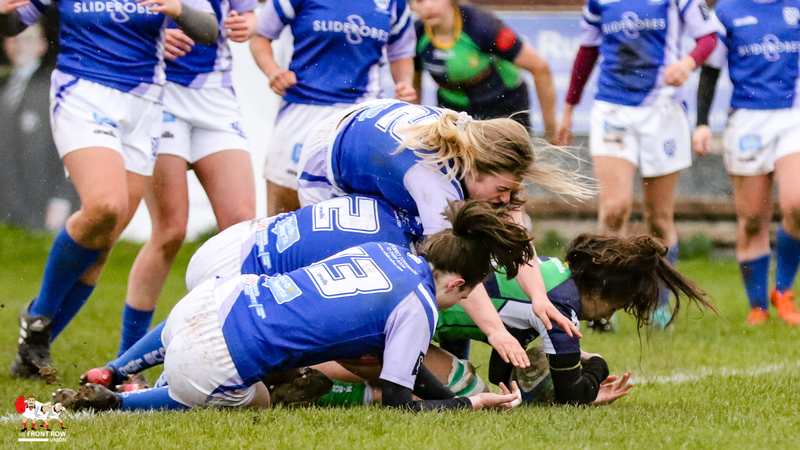 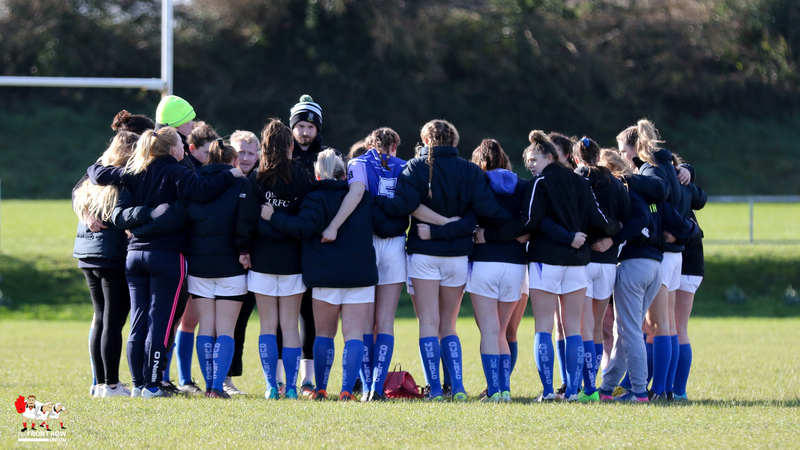 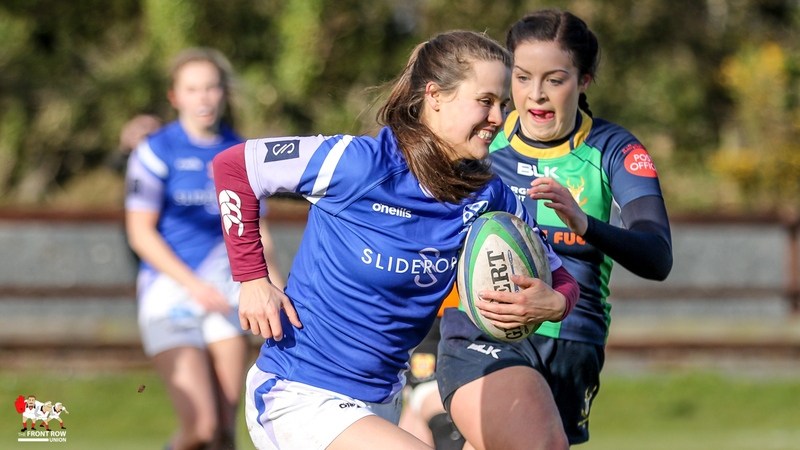 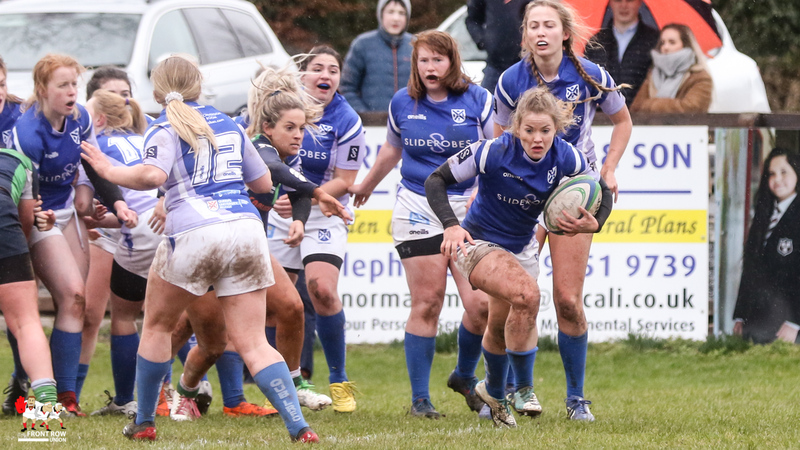 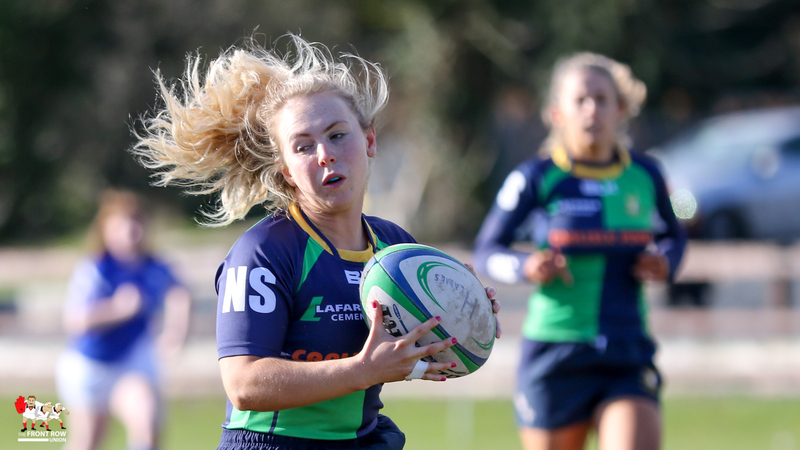 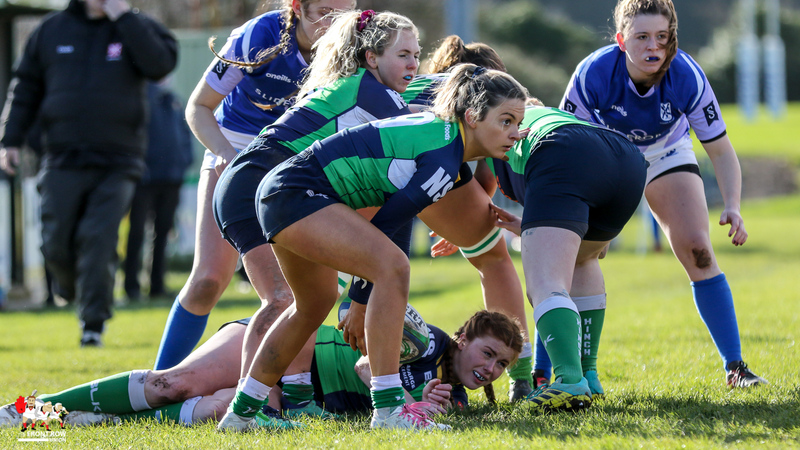 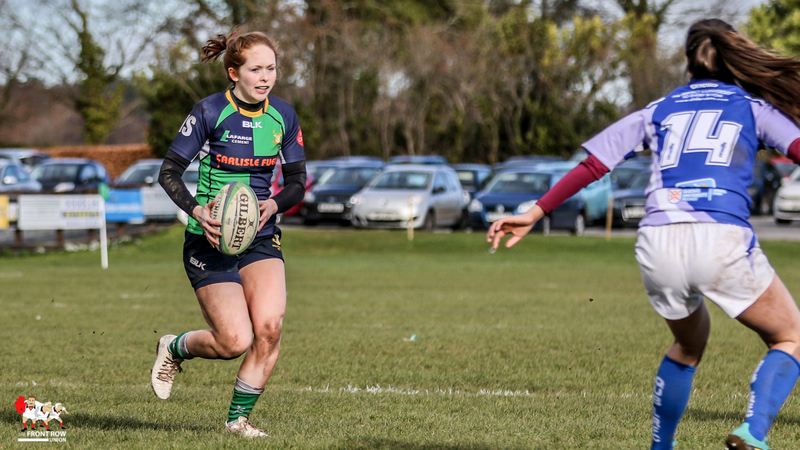 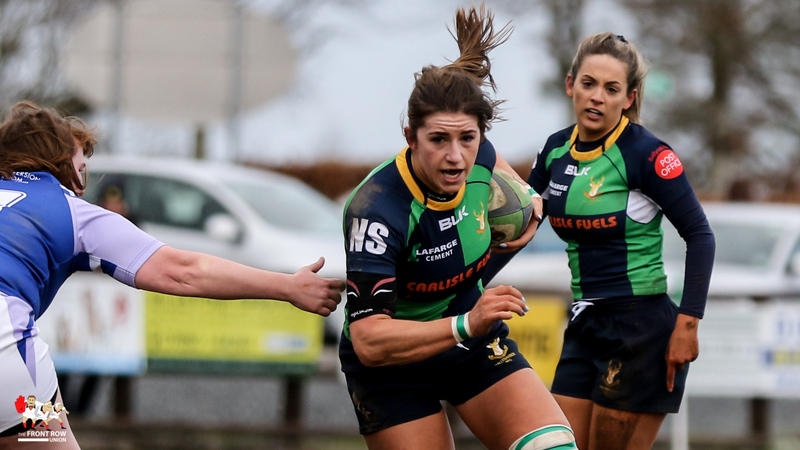 Queens University Women travelled to Ballymacarn Park on Sunday afternoon for the Ulster Women’s Junior Cup Quarter Final match against Ballynahinch Women. 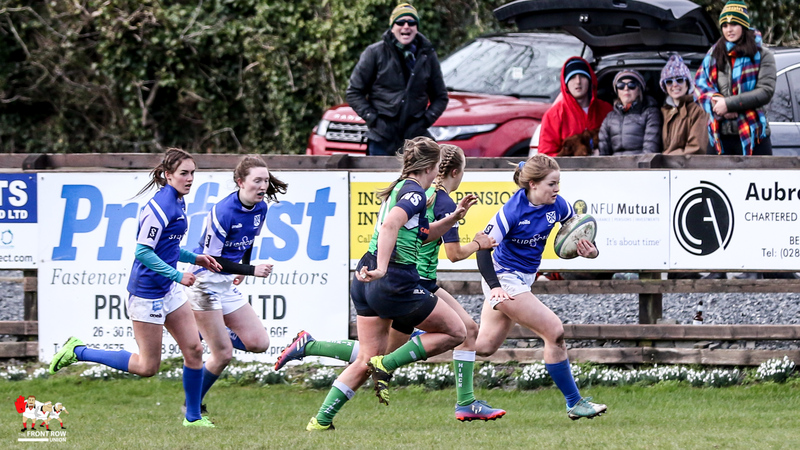 The students appeared determined to entertain and even with the strong wind behind them they opted for running the ball at every opportunity. 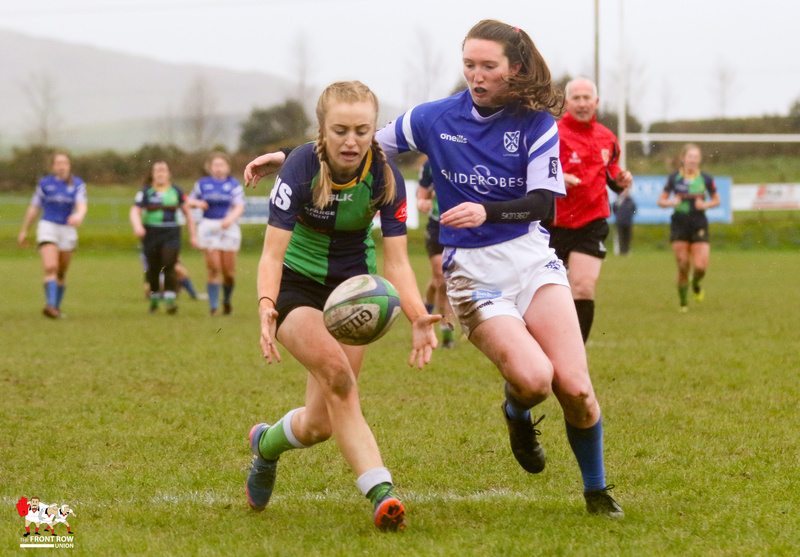 Their youthful exuberance certainly caused plenty of problems for Ballynahinch in the opening quarter. 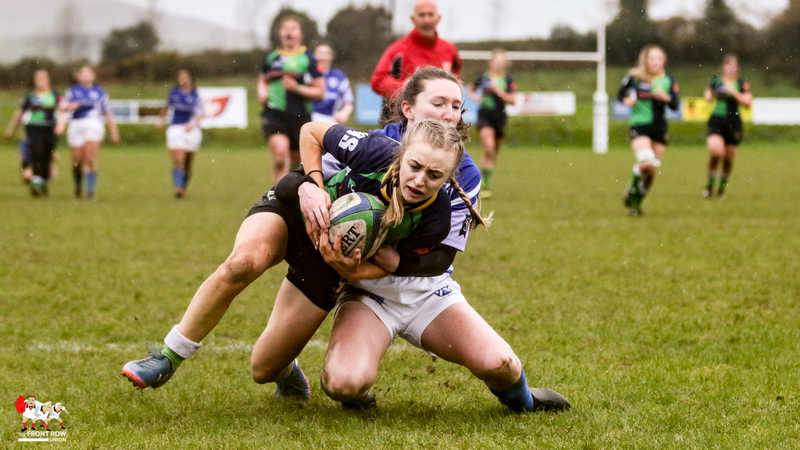 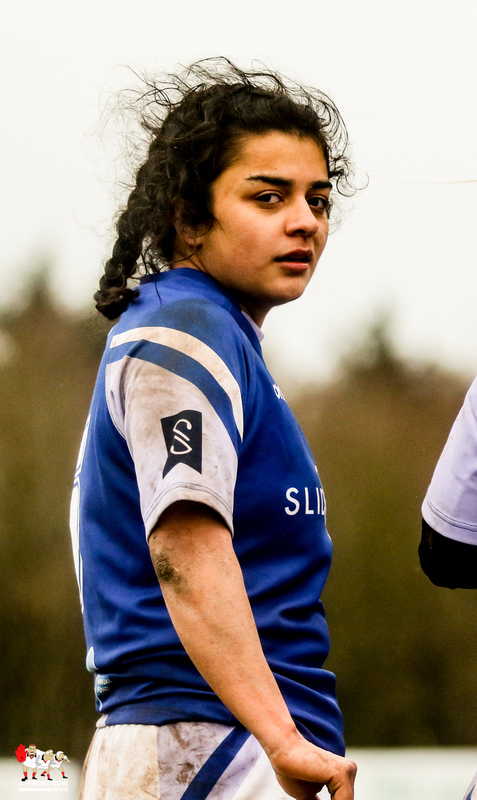 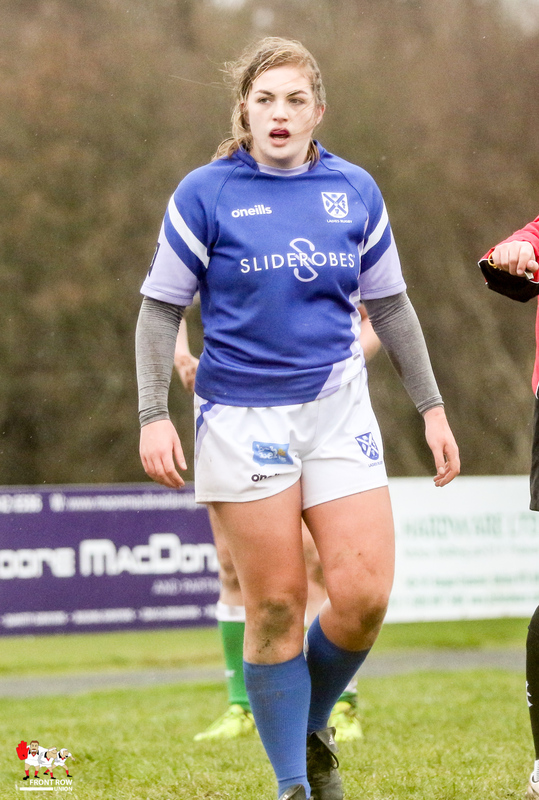 Queen’s outhalf Dianne Ramsey proved a handful for the Hinch defence throughout the afternoon and she opened the scoring about 10 minutes in, brushing past a few soft tackles to score under the posts for an unconverted try. 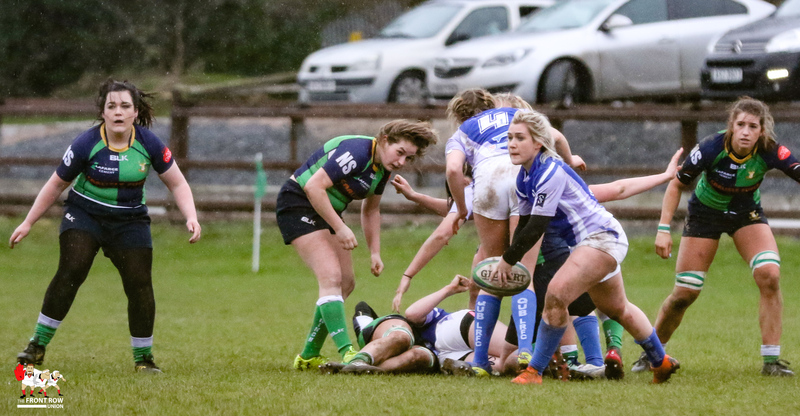 Hinch worked their way upfield, against the elements, and managed to gain a foothold in the Queens 22. 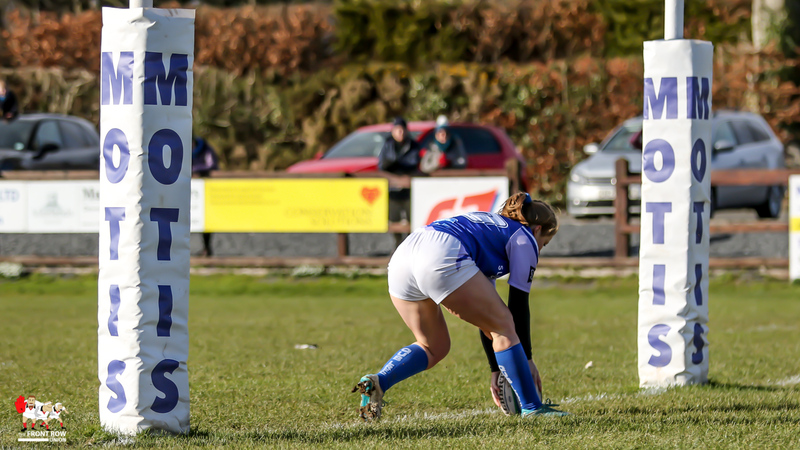 They had several opportunities to score but too often tried to do it individually, ignoring some quite huge overlaps. 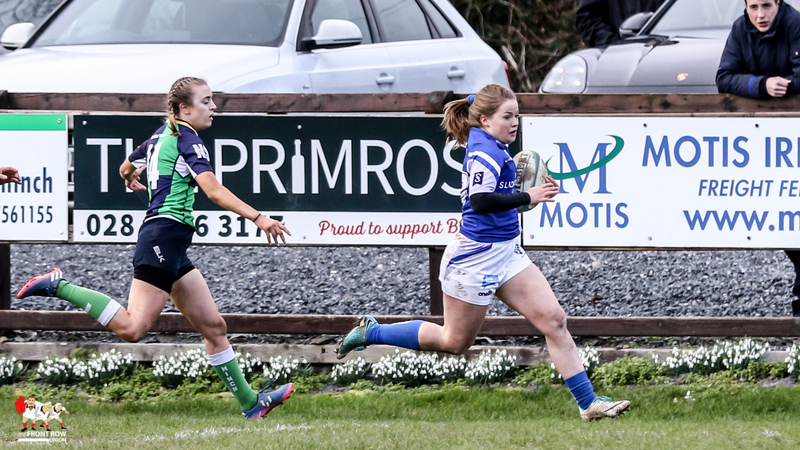 Likewise Queen’s had several opportunities to clear their lines but opted to run, often behind their own try line. 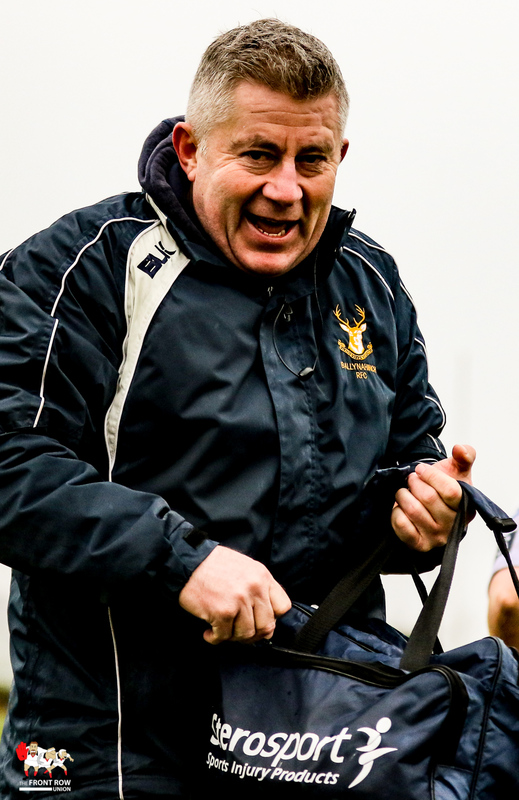 Both teams probably had their coaches tearing their hair out, but it was great fun. 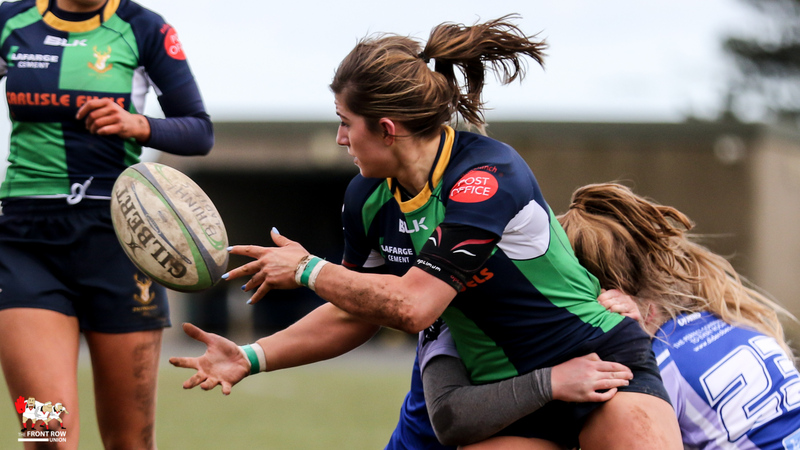 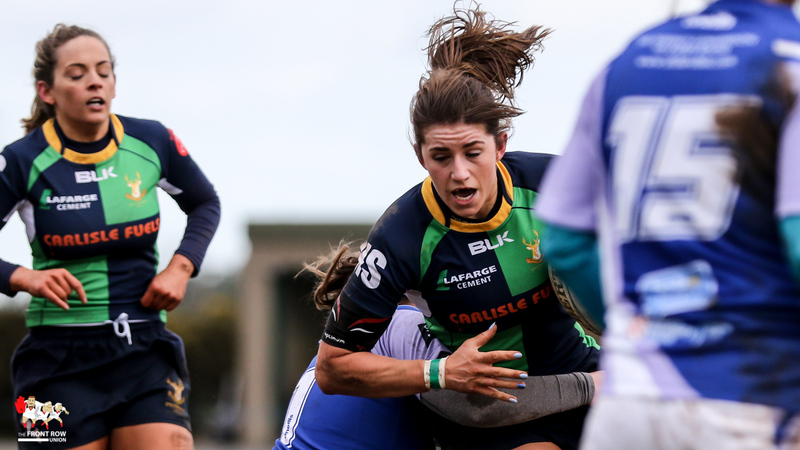 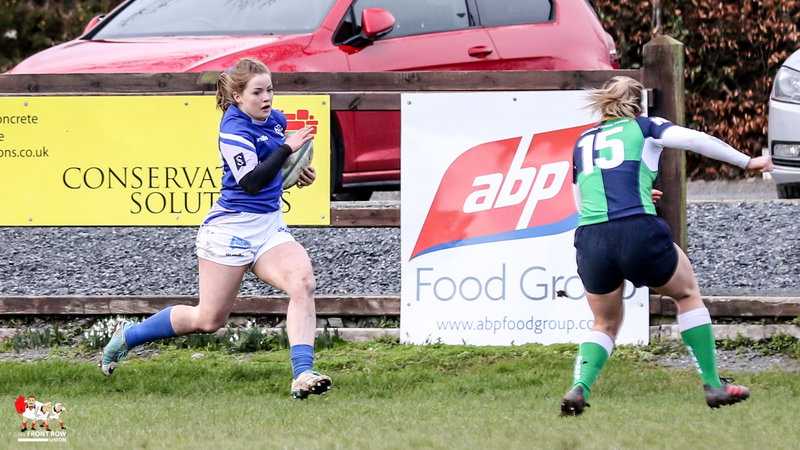 Hinch finally got their breakthrough when Ruth Montgomery, powered over close to the posts. 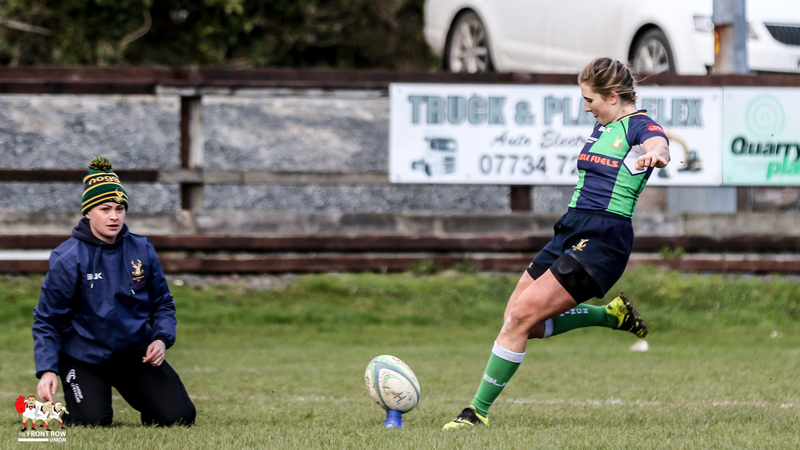 Alexa Grudgings converted to give the hosts a two point lead. 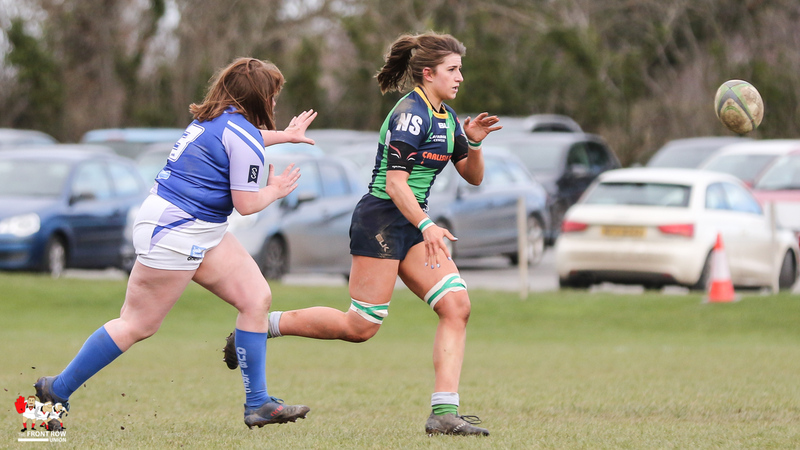 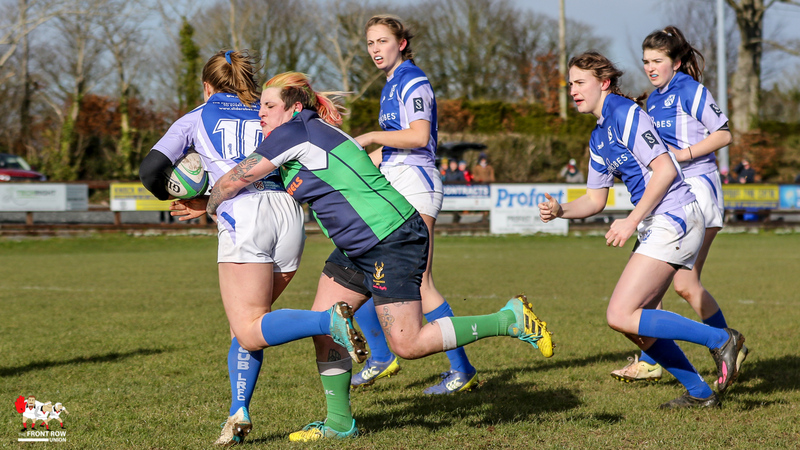 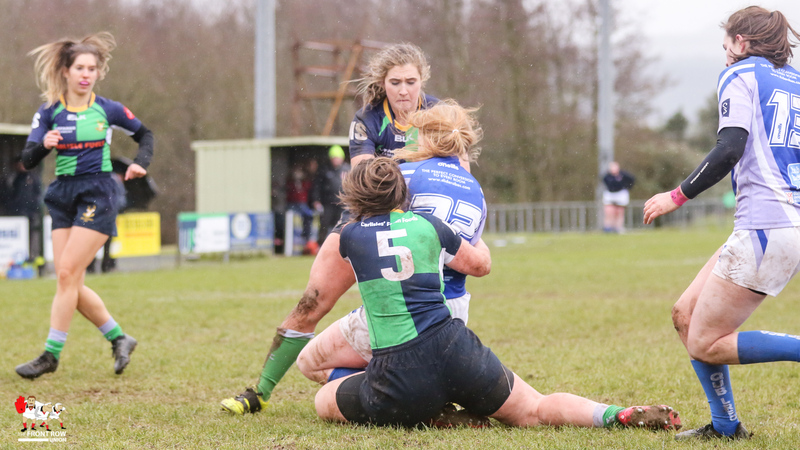 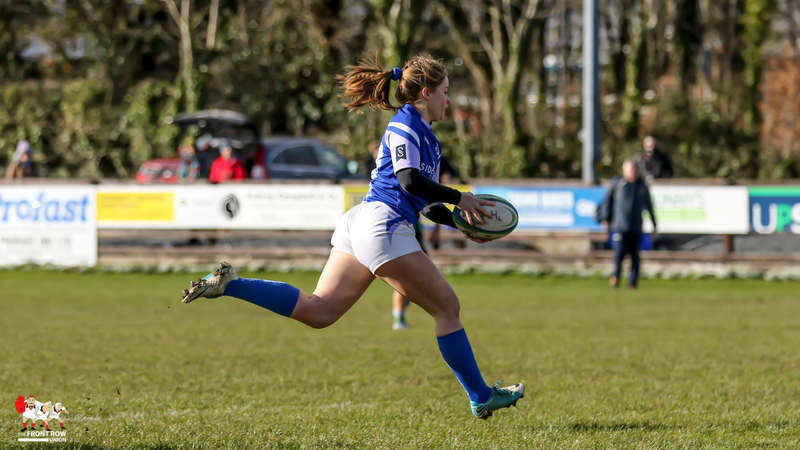 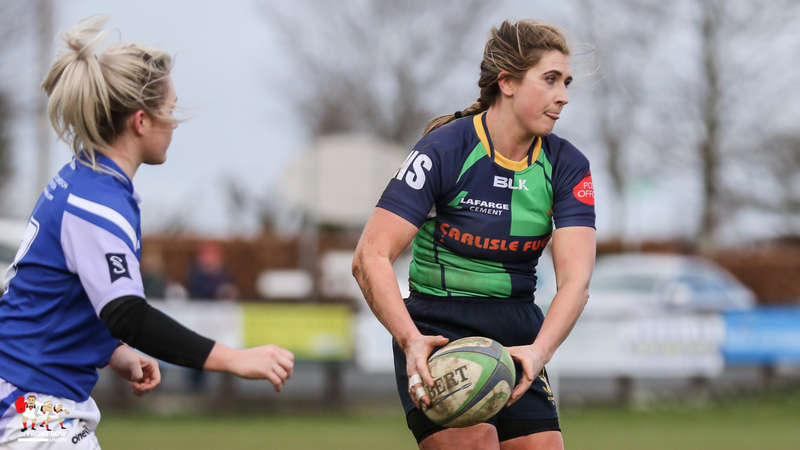 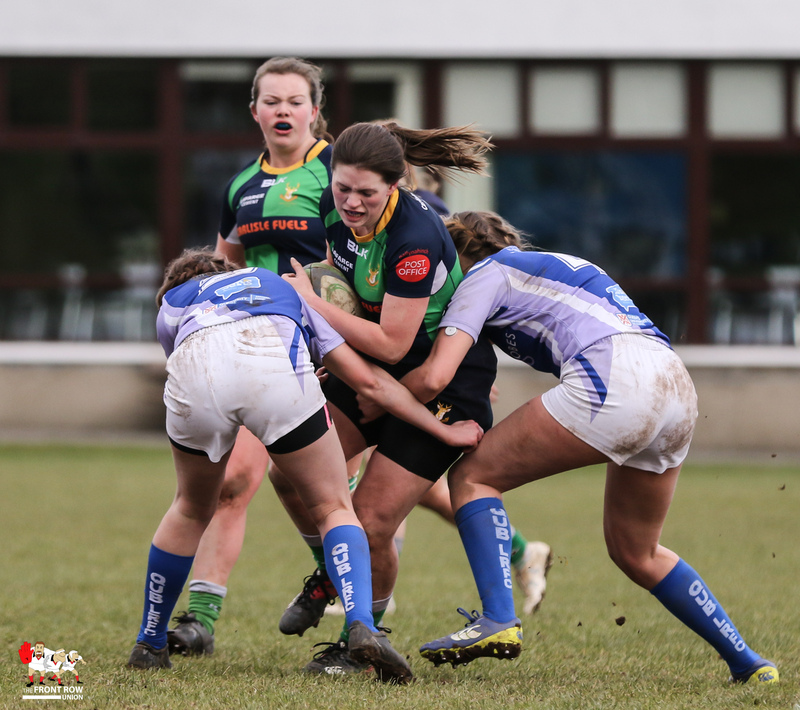 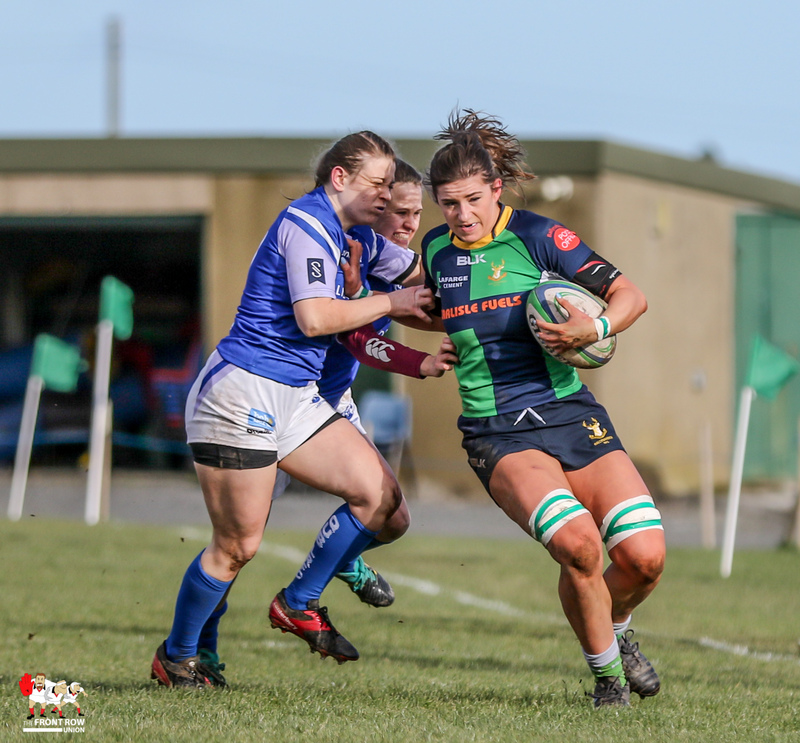 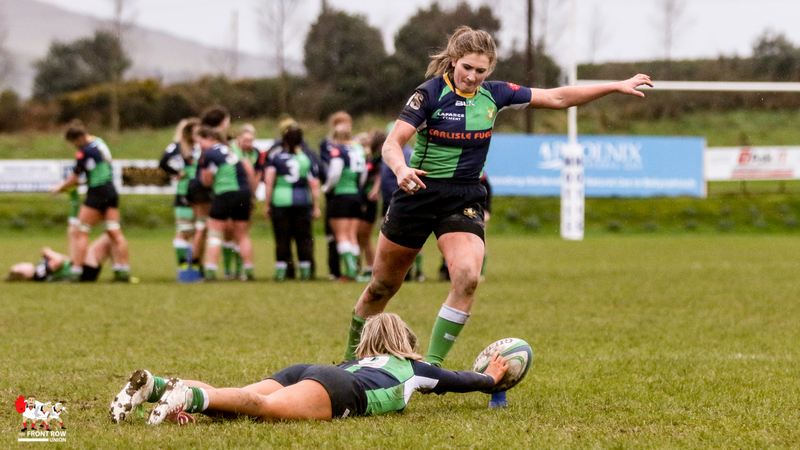 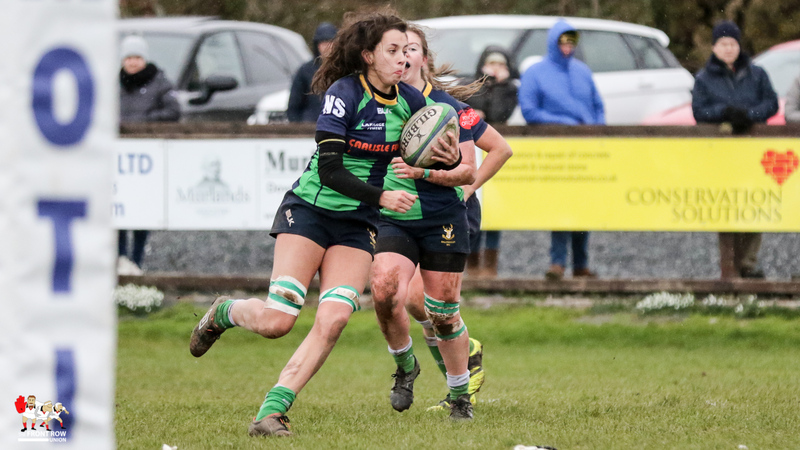 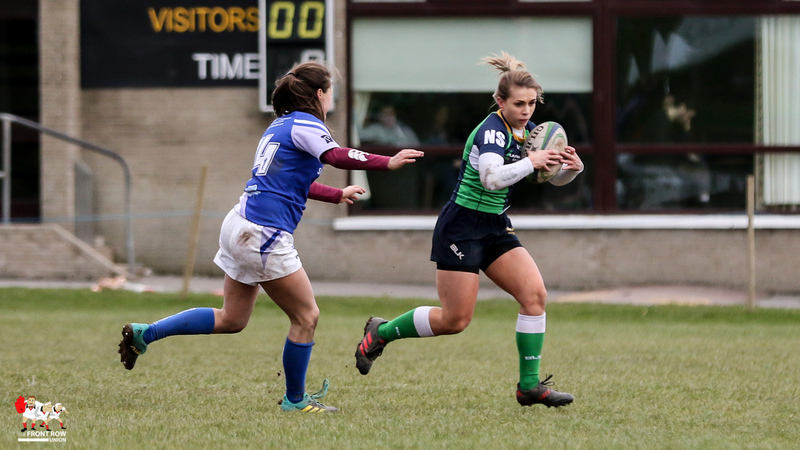 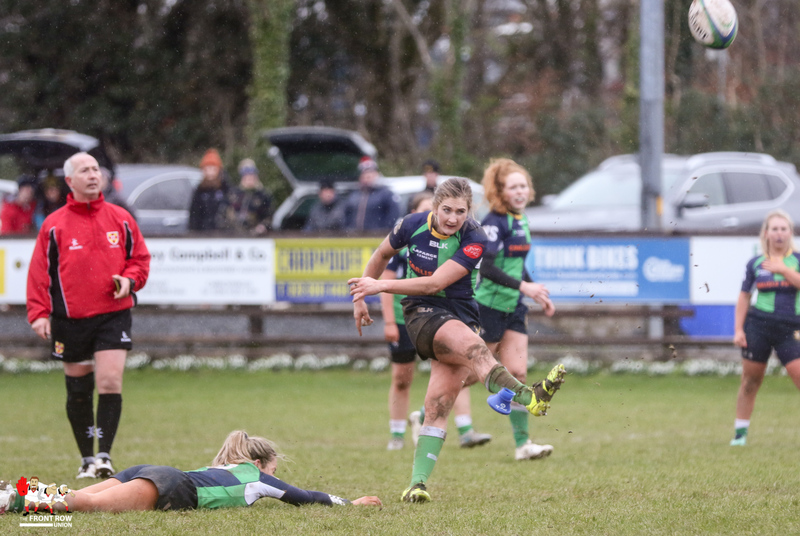 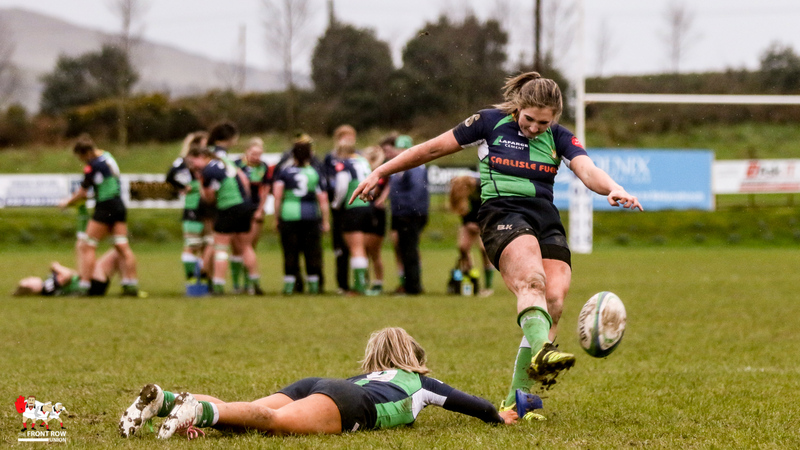 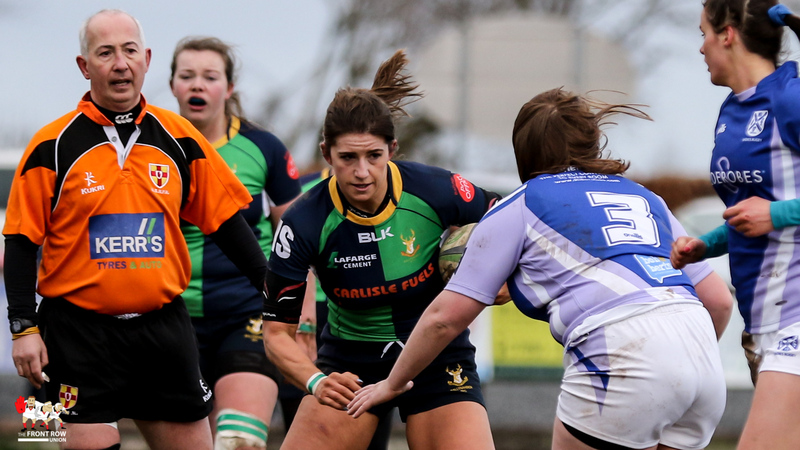 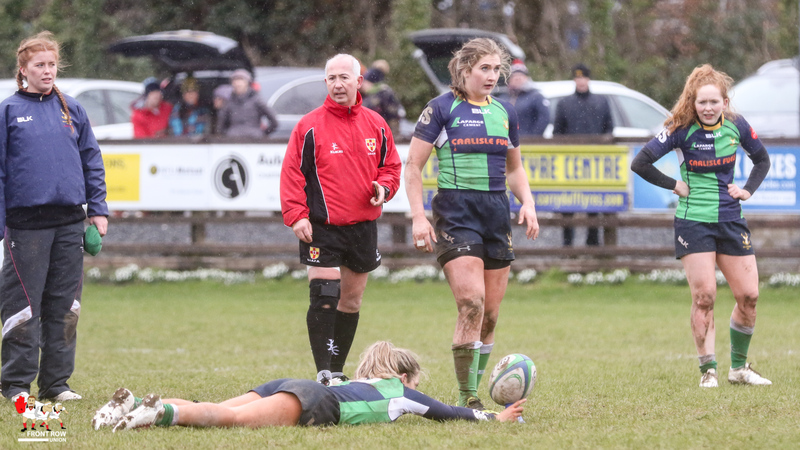 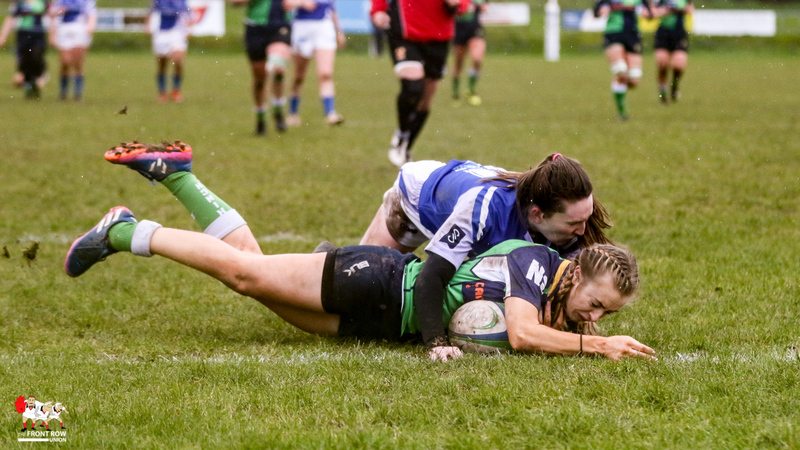 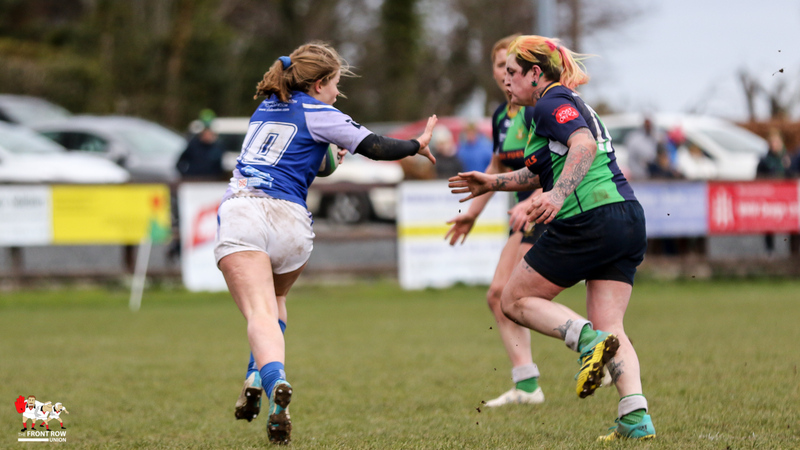 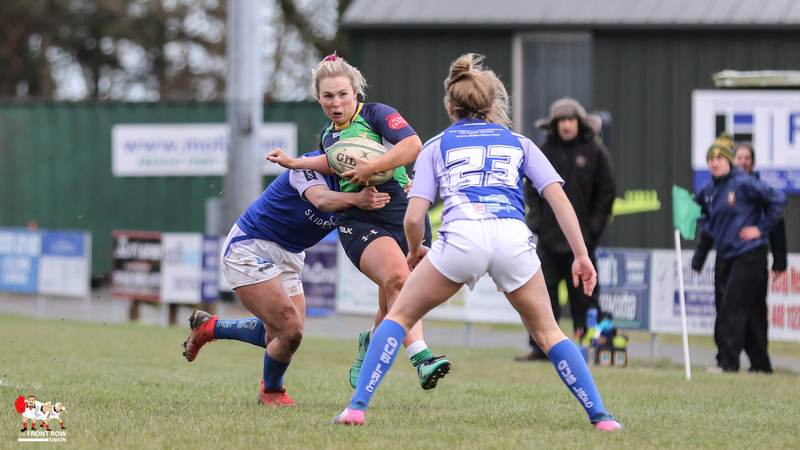 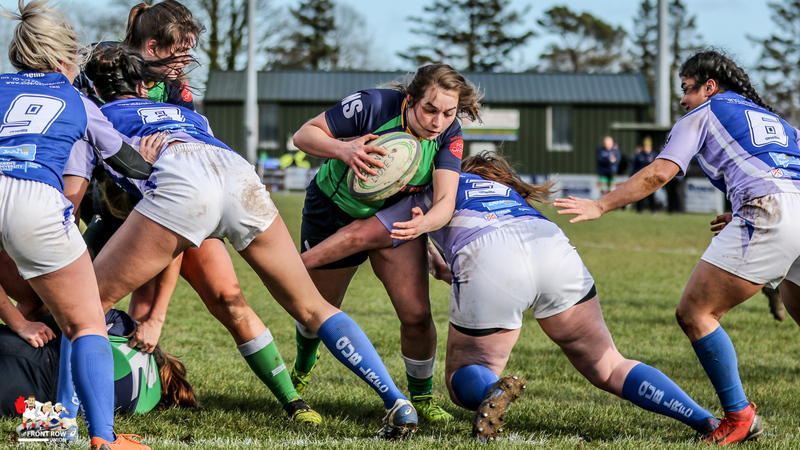 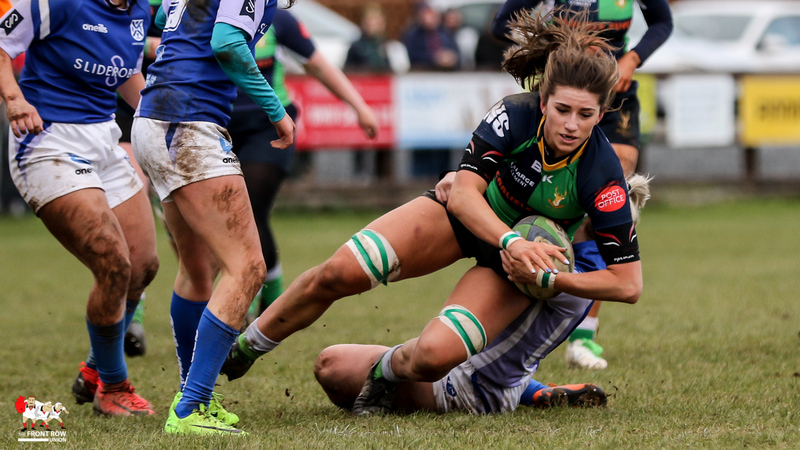 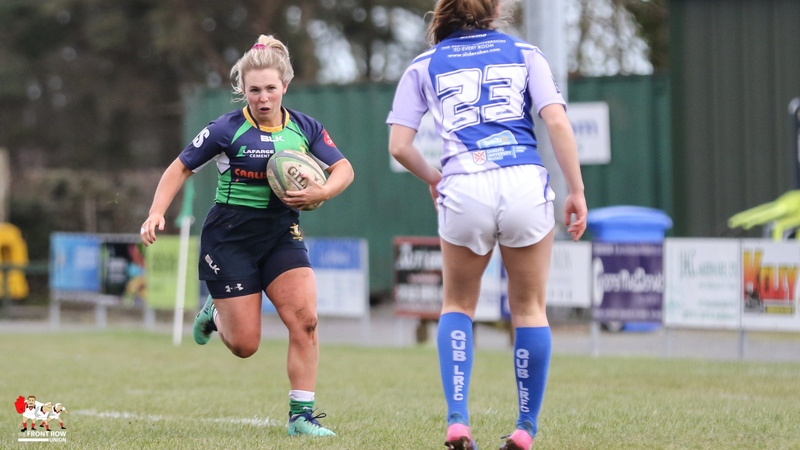 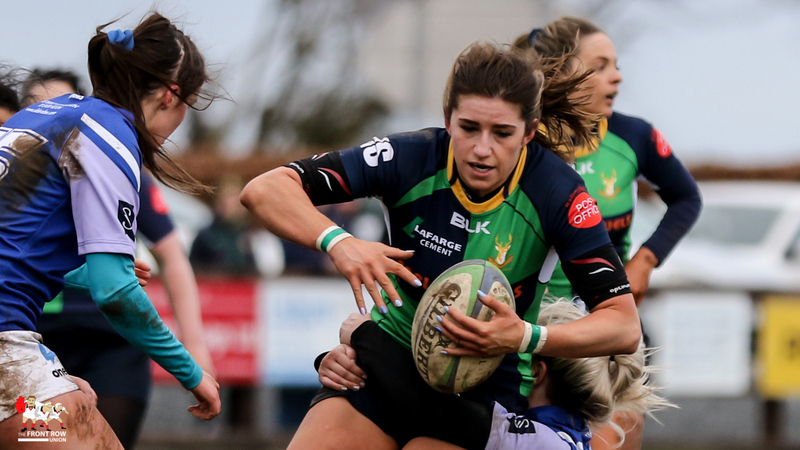 Having spent most of the last ten minutes behind their own try line Queens took the opportunity to cut loose on the restart and within minutes Ramsey was outstripping the defenders out wide on the left and heading for the posts for her second score. 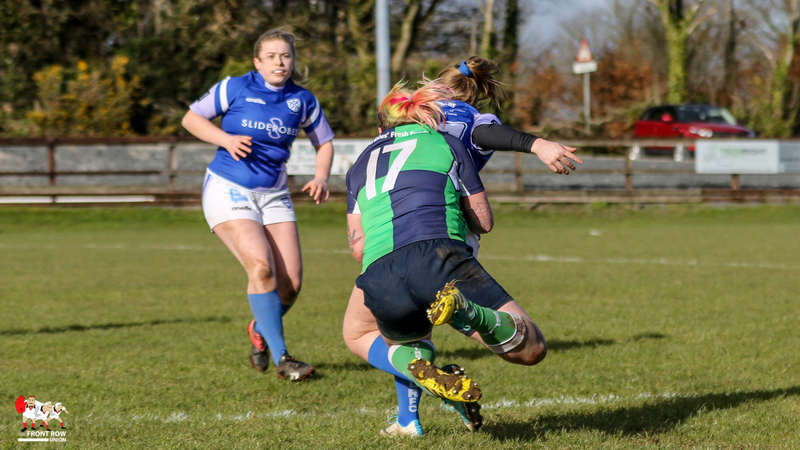 The conversion was again missed leaving the score at 7- 10. 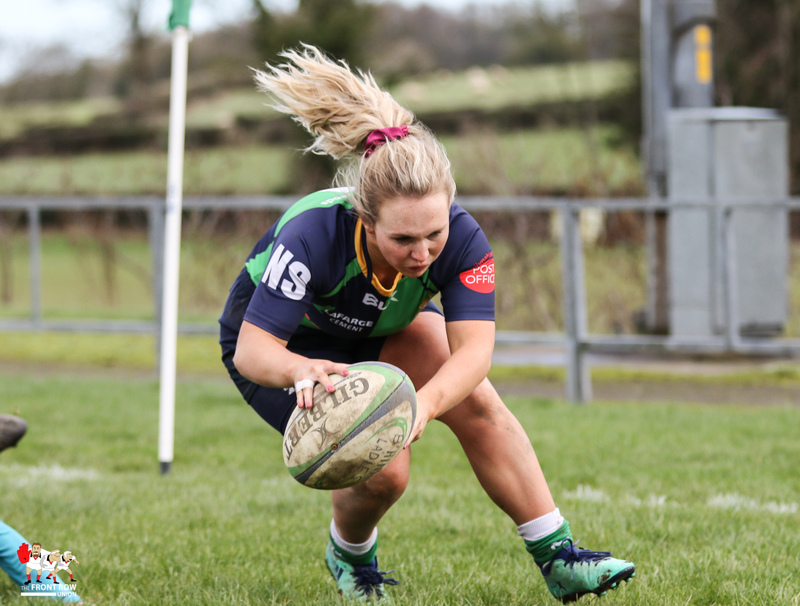 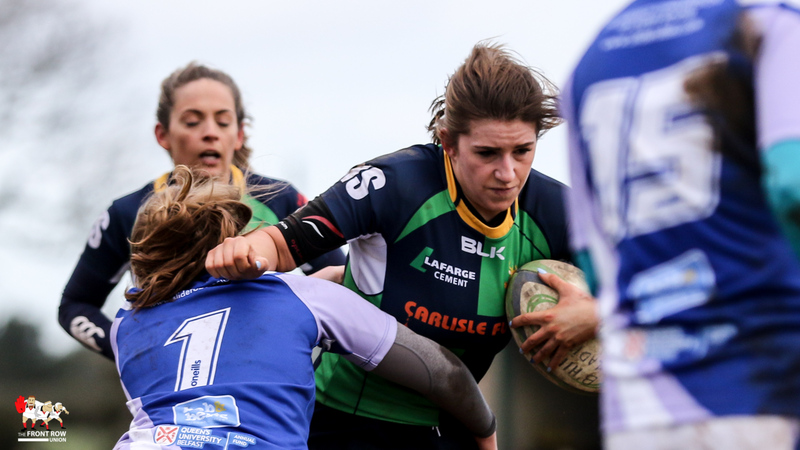 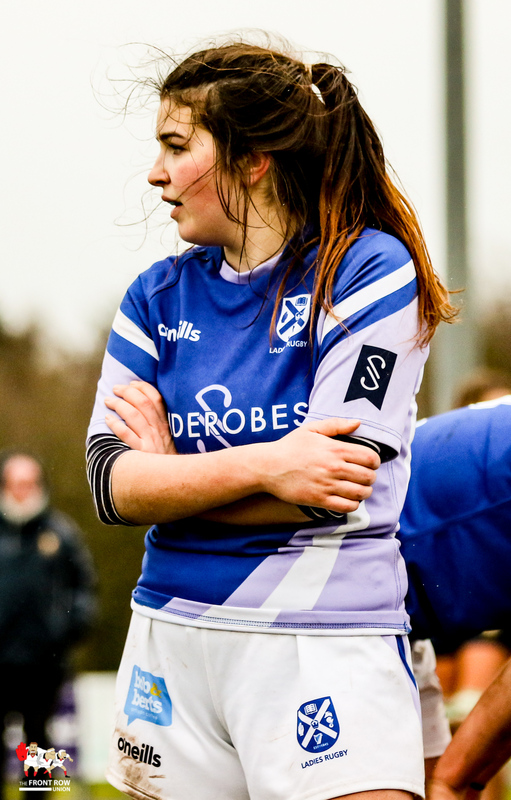 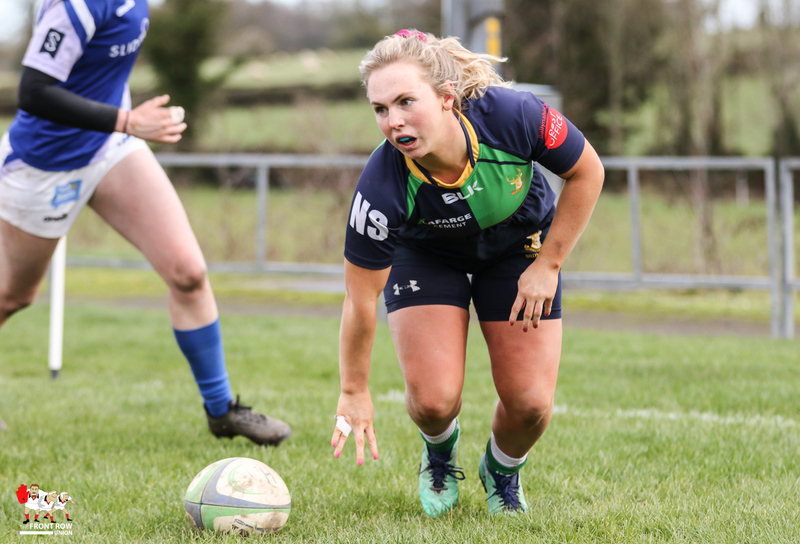 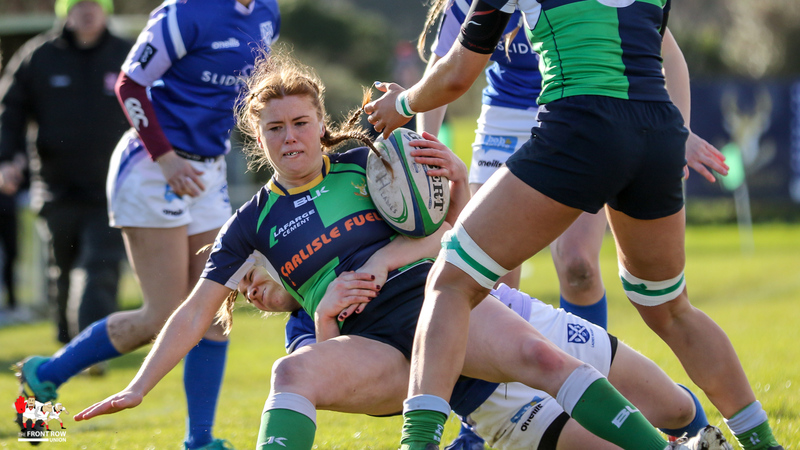 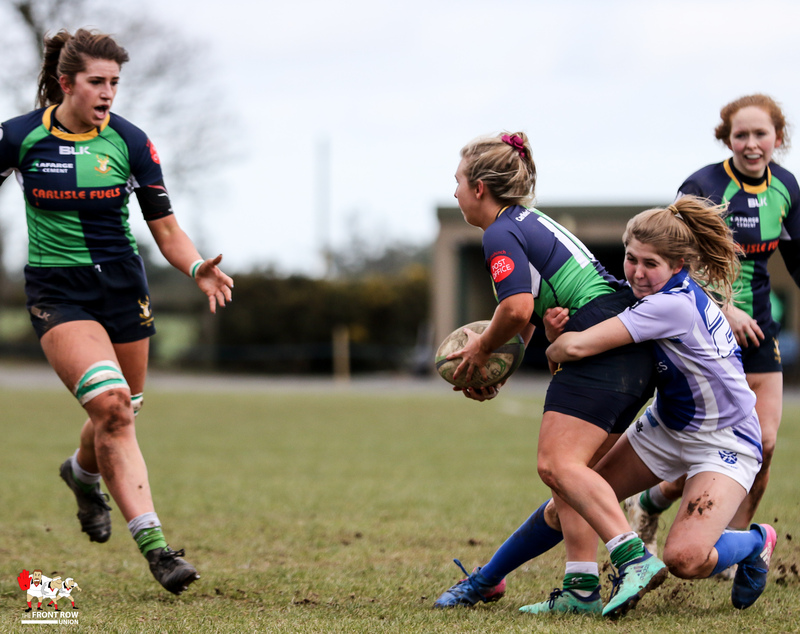 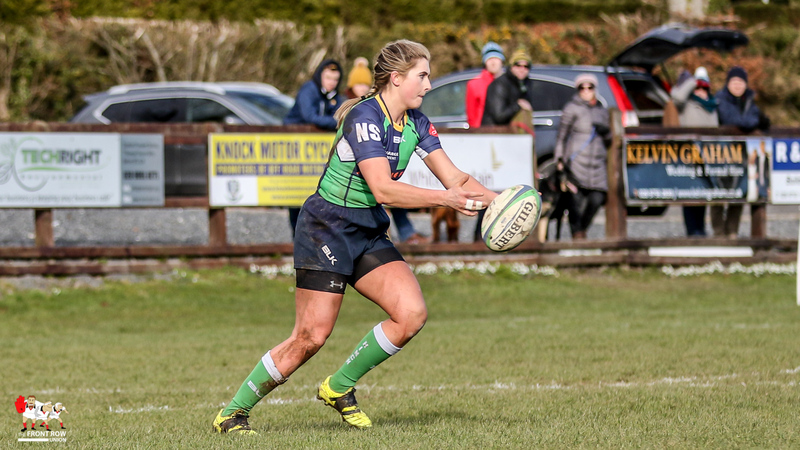 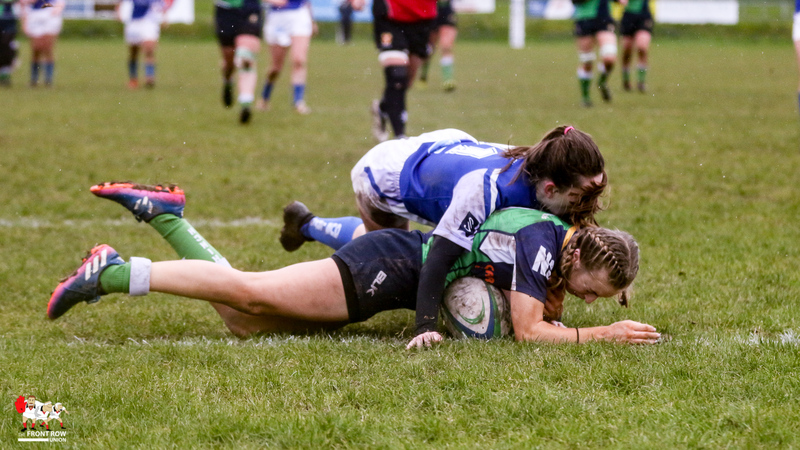 Hinch came back again and camped in the Queens 22 this time the hard working Jill Stevens scoring in the corner, after a blind side break off the back of a scrum, and with no further score the teams turned round with hinch leading 12 – 10. 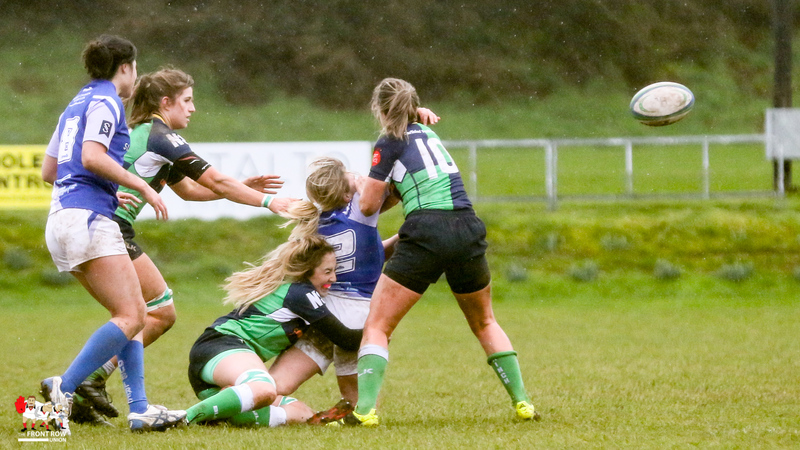 With the strong wind behind them Hinch were able to take full control of the game. 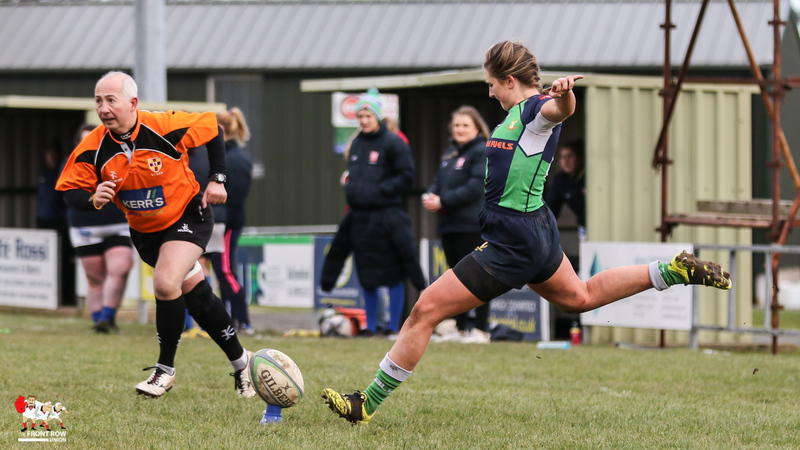 Grudgings played the kicking game with a great deal of accuracy and Queens were pinned in their own territory for the bulk of the second half. 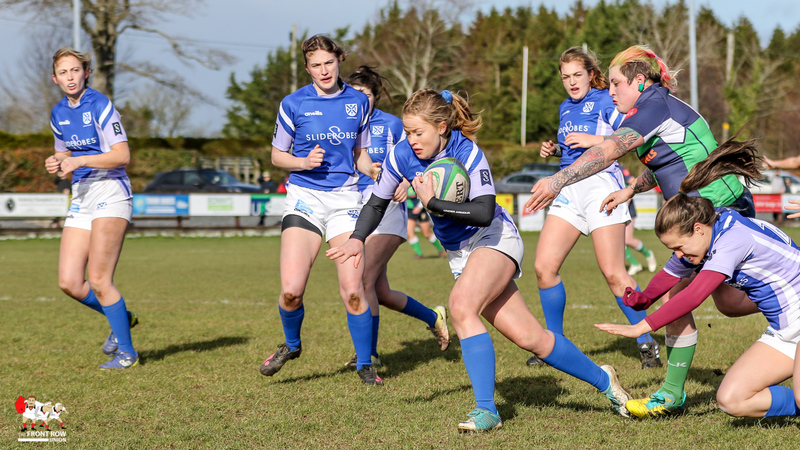 Queens battled throughout but they had nothing up their sleeves to relieve the pressure apart from a couple of breaks by Ramsey. 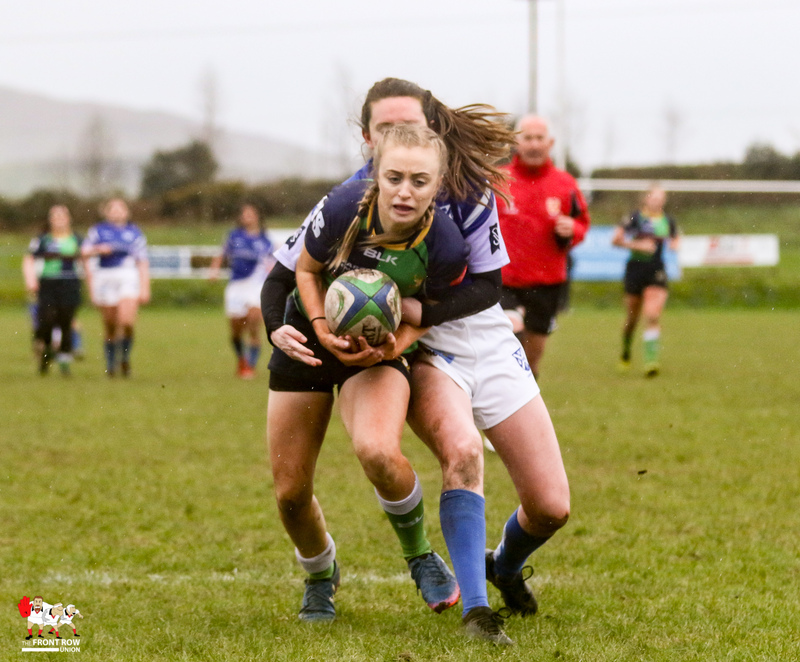 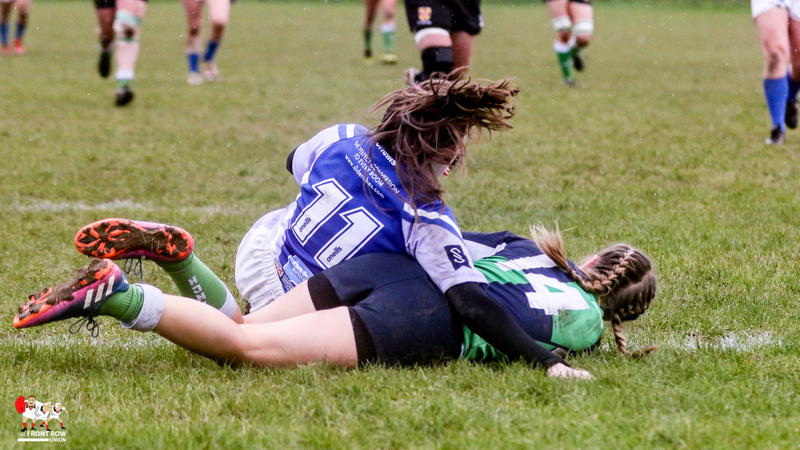 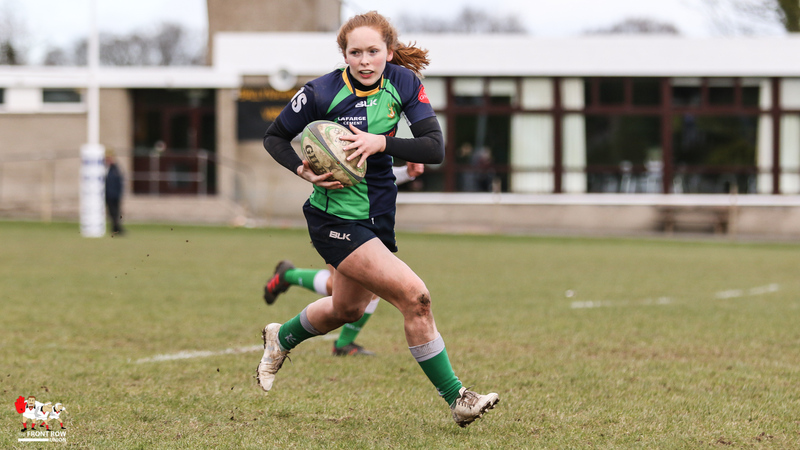 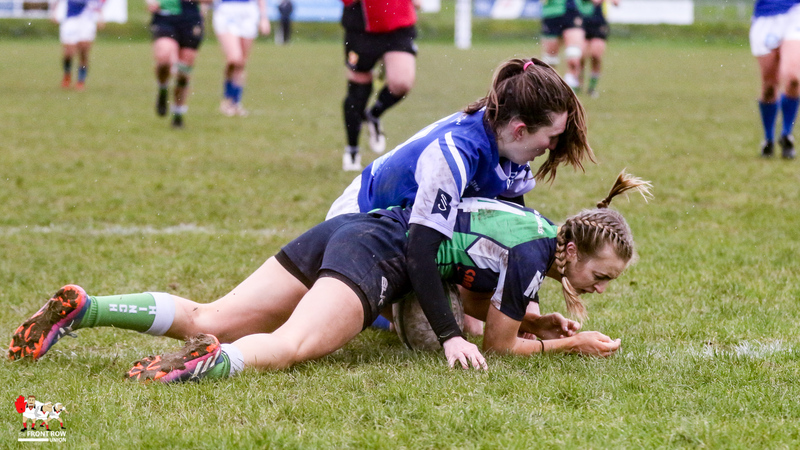 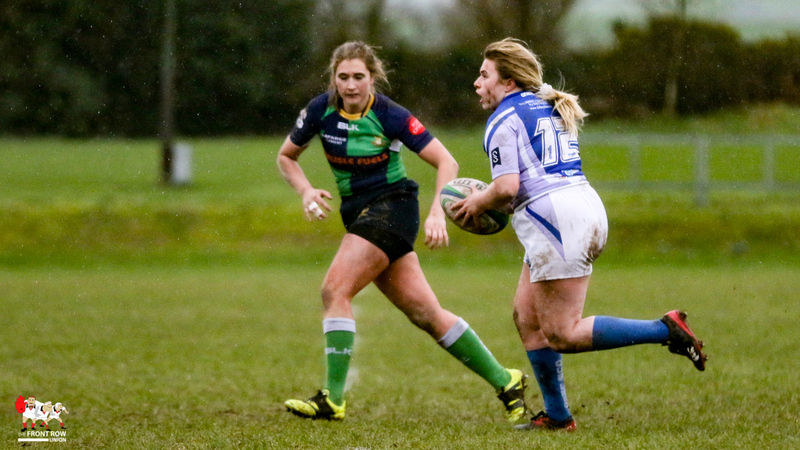 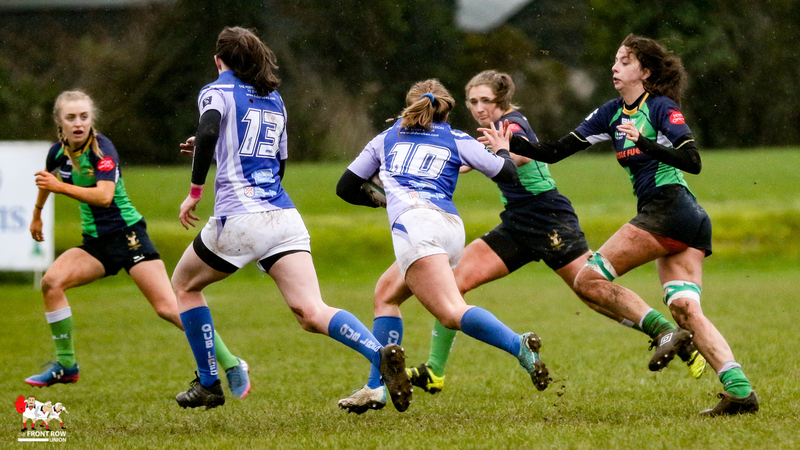 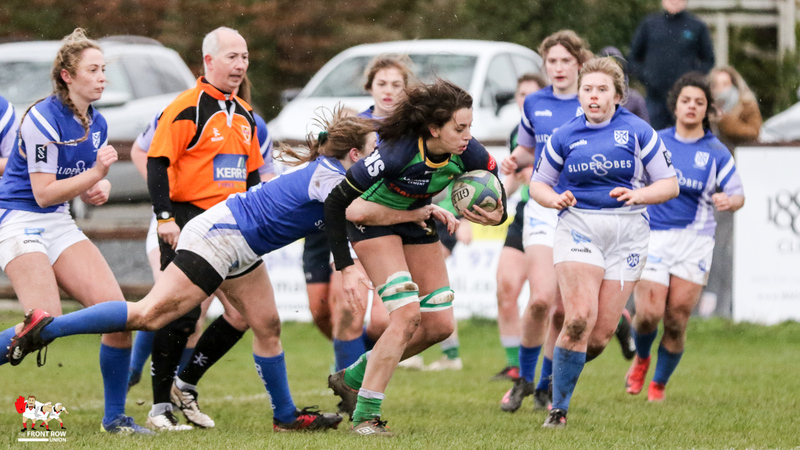 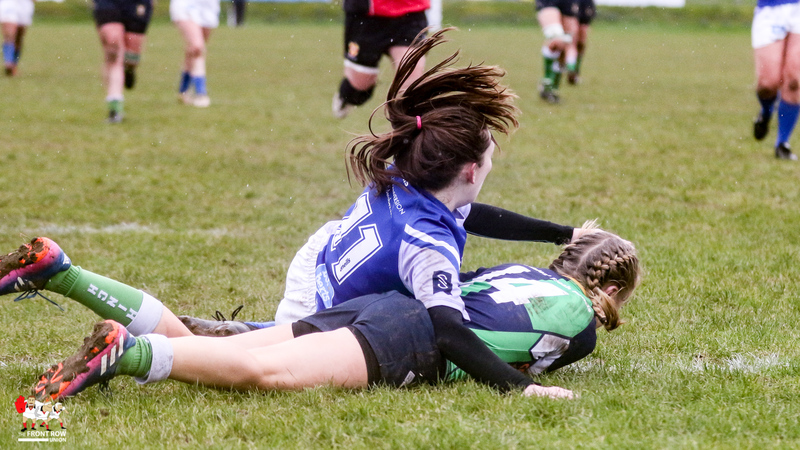 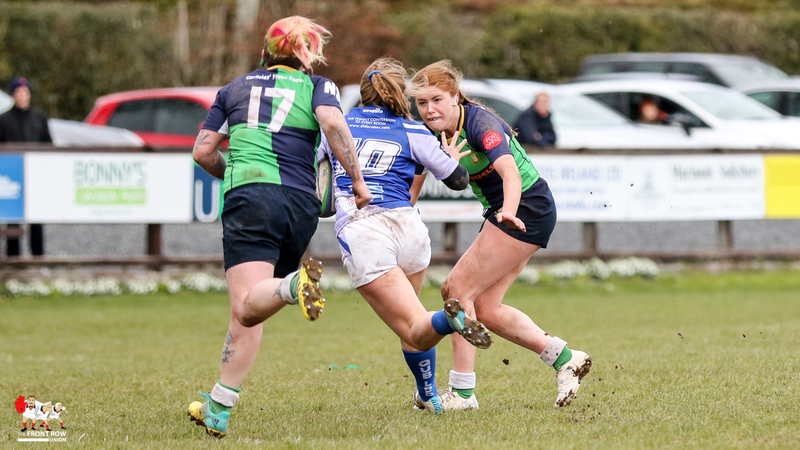 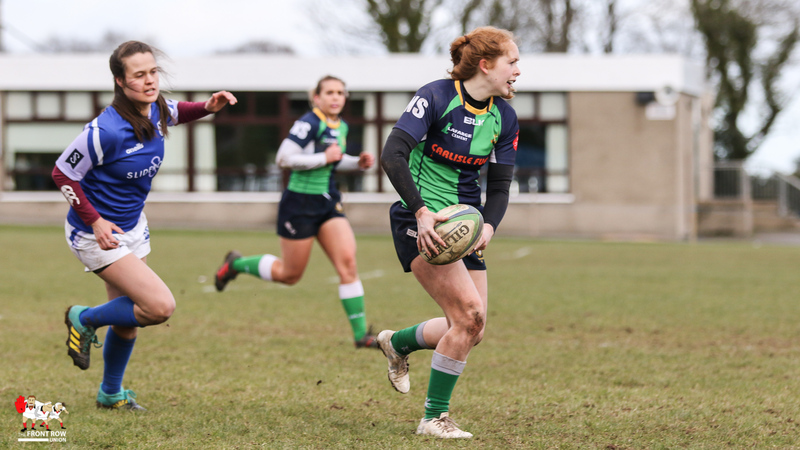 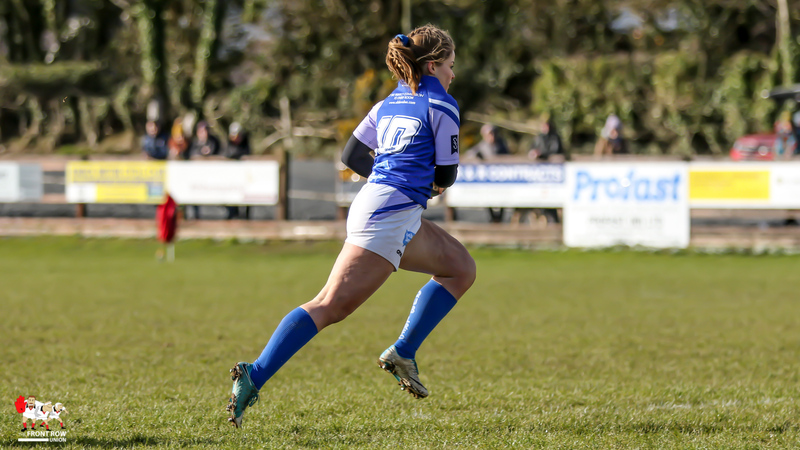 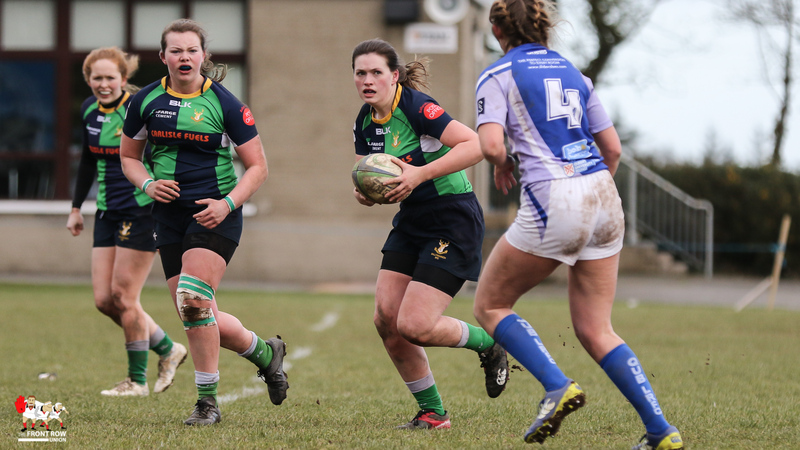 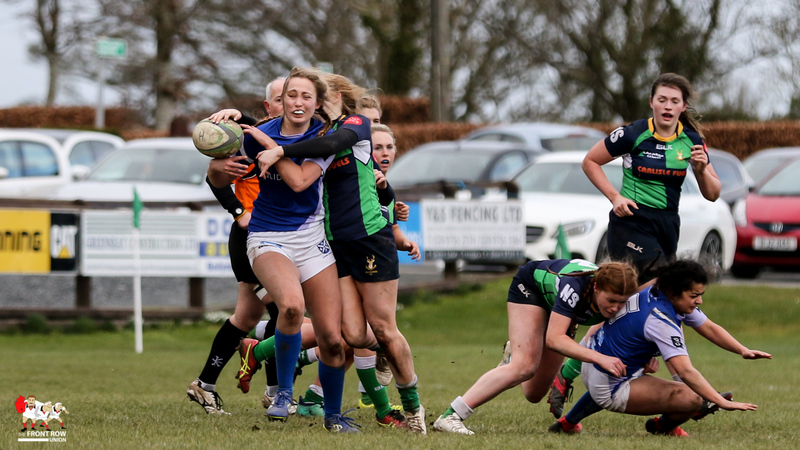 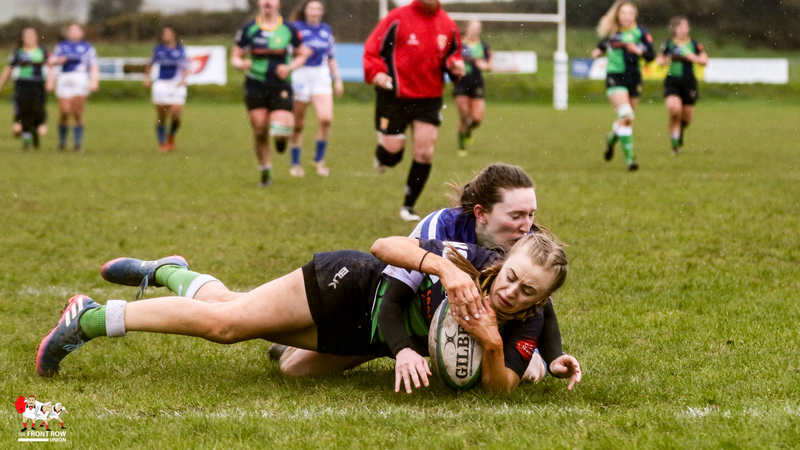 Inevitably, the home side crossed twice more with second row Erin Hoden powering over for their third before winger Emma Hassard won a kick and chase for their fourth. 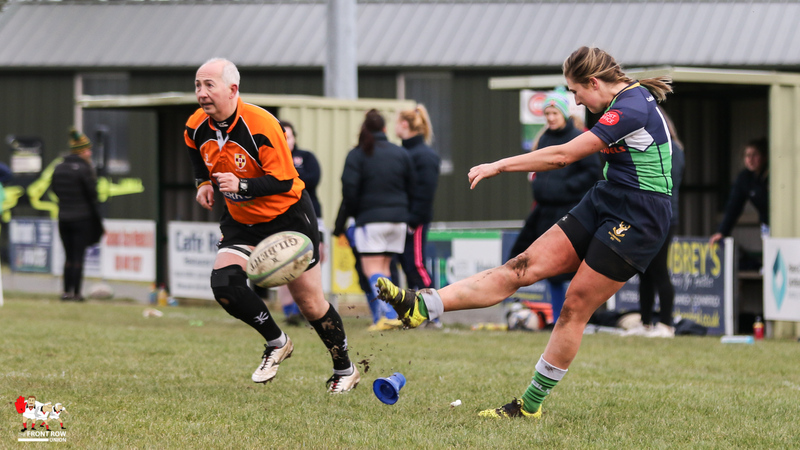 Grudgings converted one and added a late penalty to seal the game.